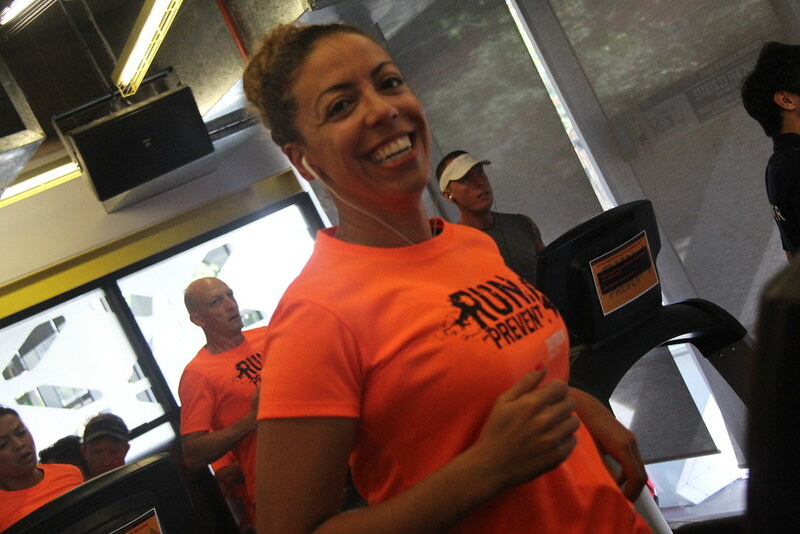 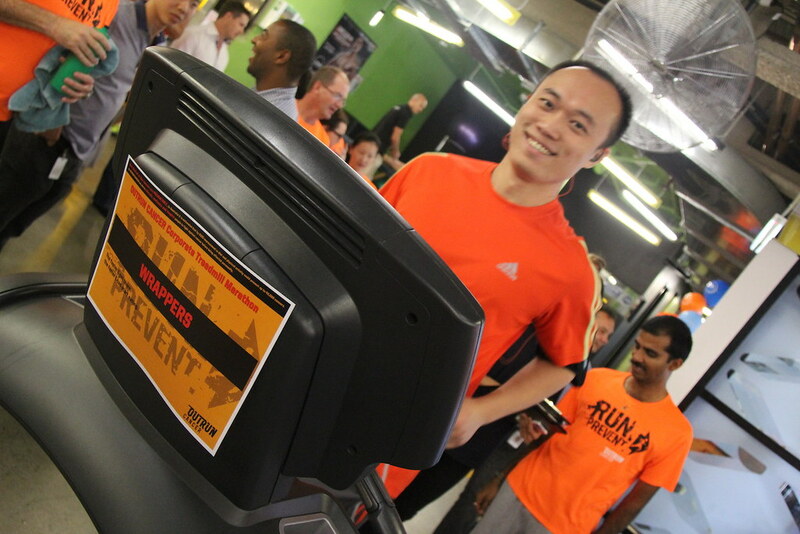 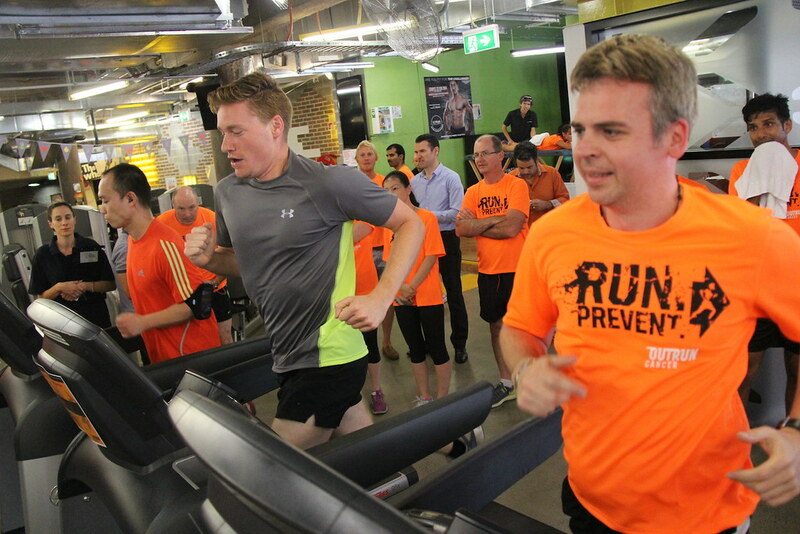 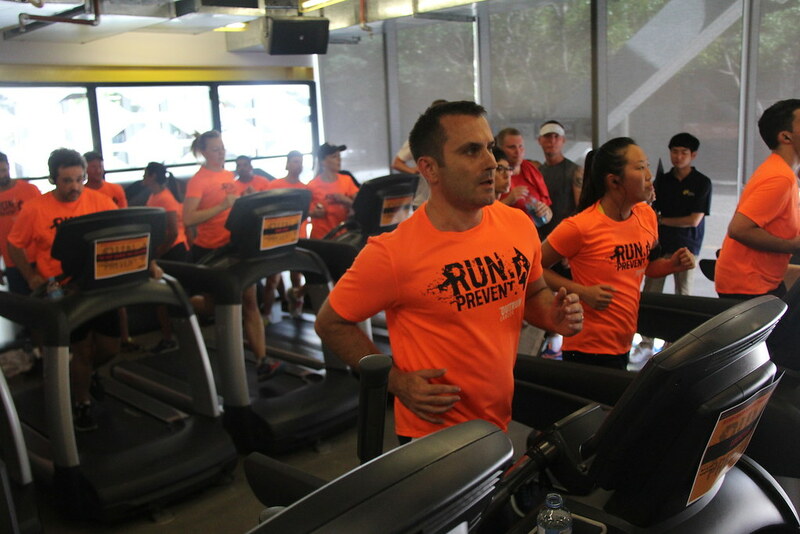 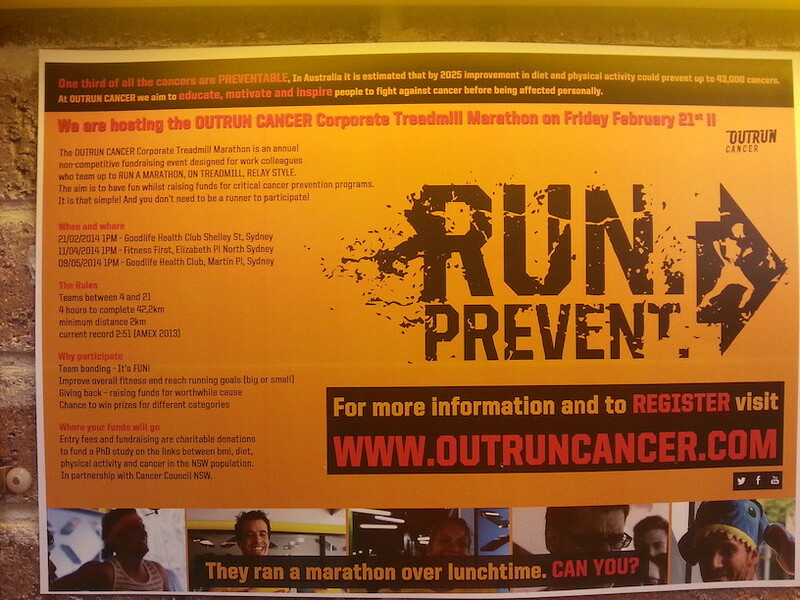 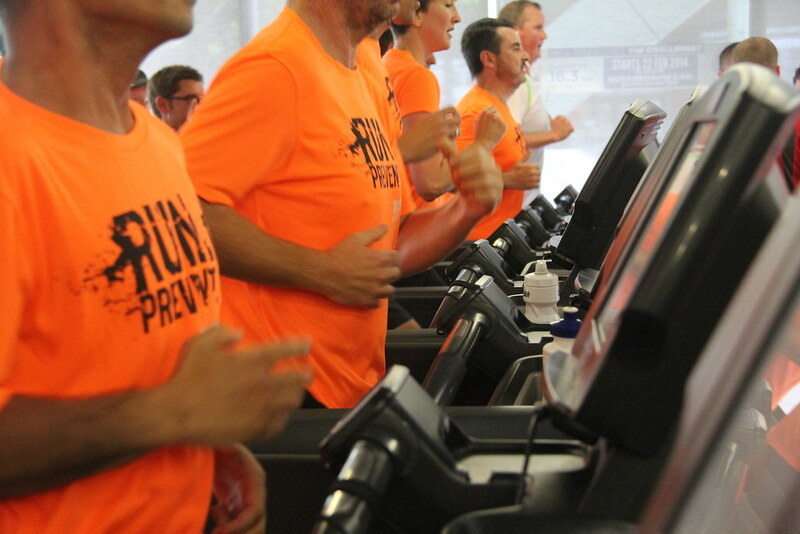 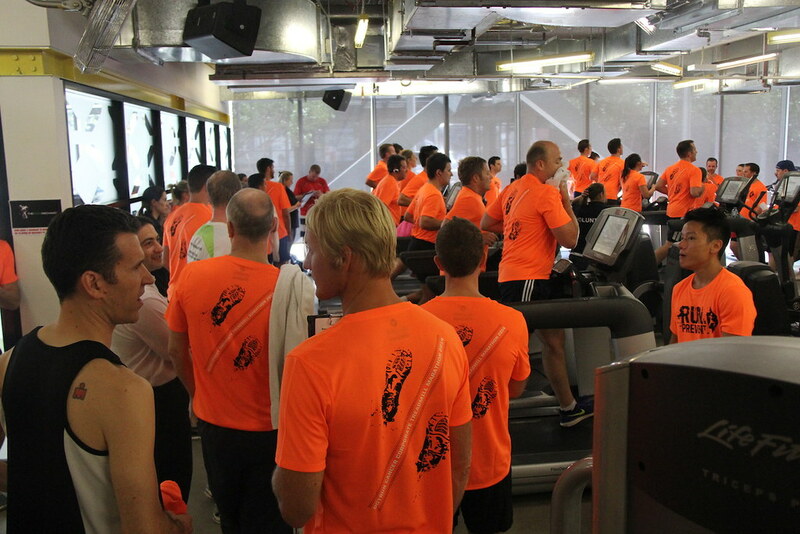 All participants that register before Friday February 14th, will receive a OUTRUN CANCER Corporate Treadmill Marathon running t-shirt, that we encourage you to wear on the day. 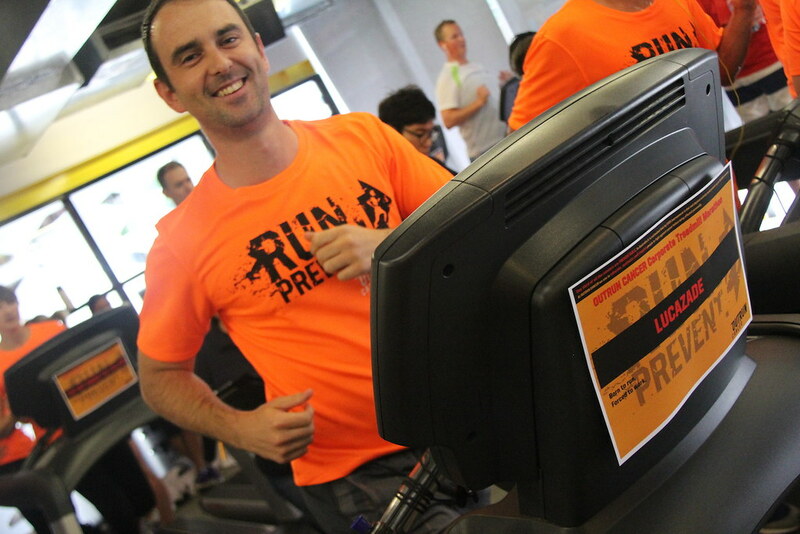 The T-shirts will be sent to the team captains few days before the event date, so make sure you register before Friday February 14th not to miss out! 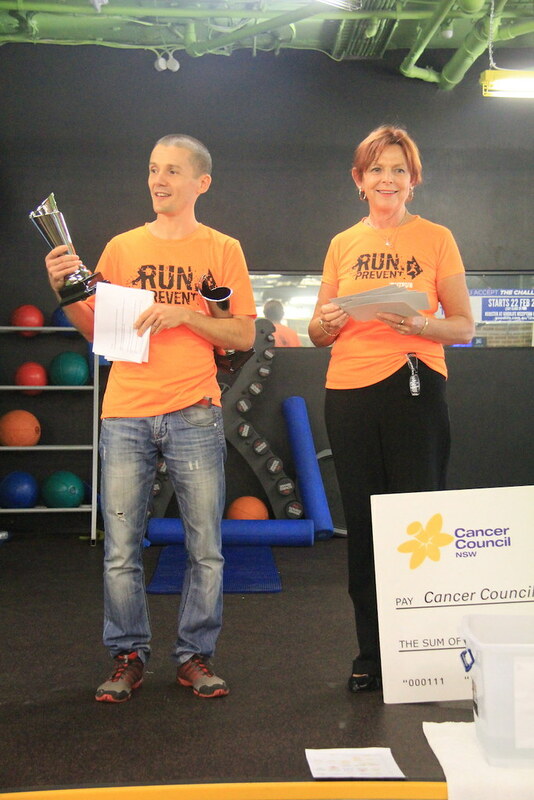 Every year the event is getting bigger and better, with more people involved, faster marathons and higher fundraising. 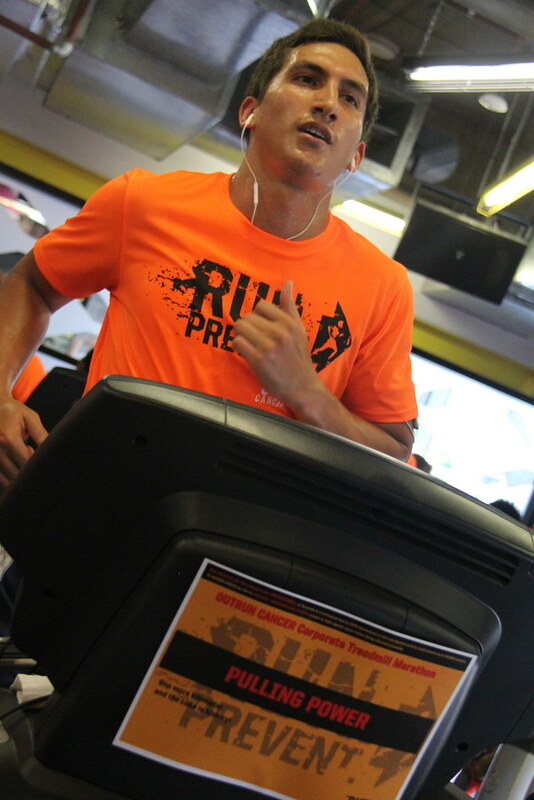 When I think we cannot possibly do better, we don’t simply exceed the expectations, we trash them altogether! 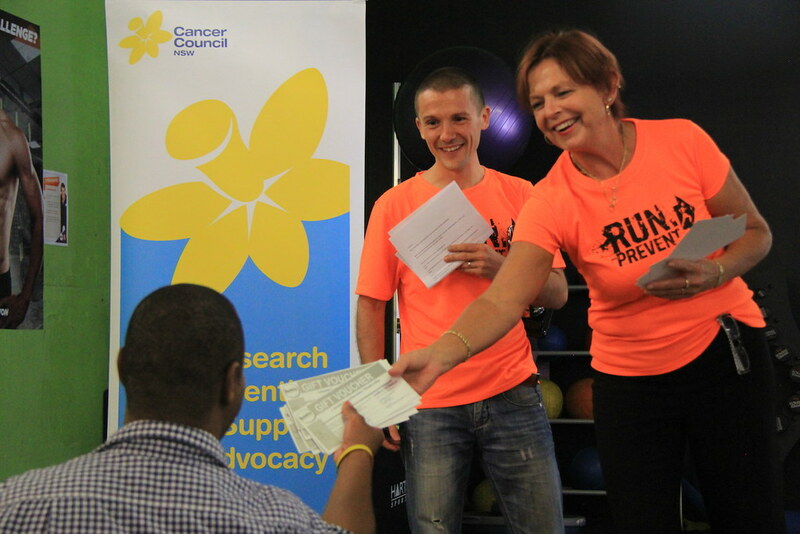 To all the runners, donors, volunteers and all those who believe in OUTRUN CANCER and our cause. 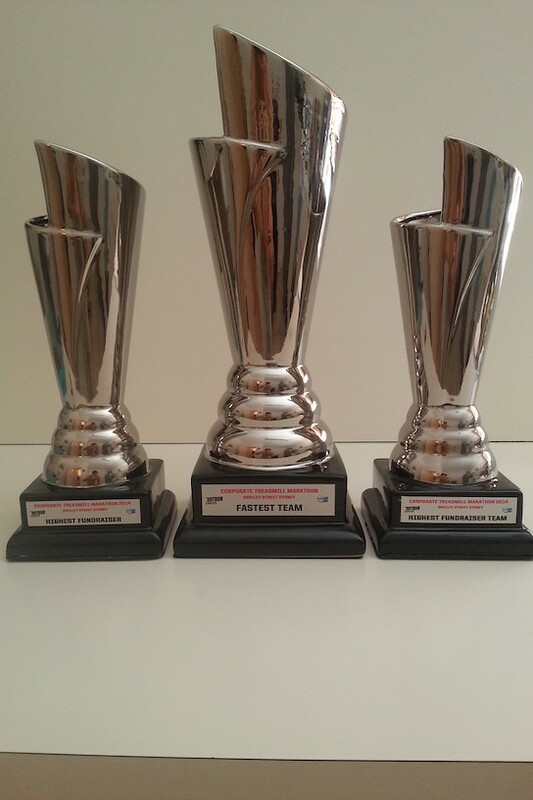 I feel honoured to see you coming back every year. 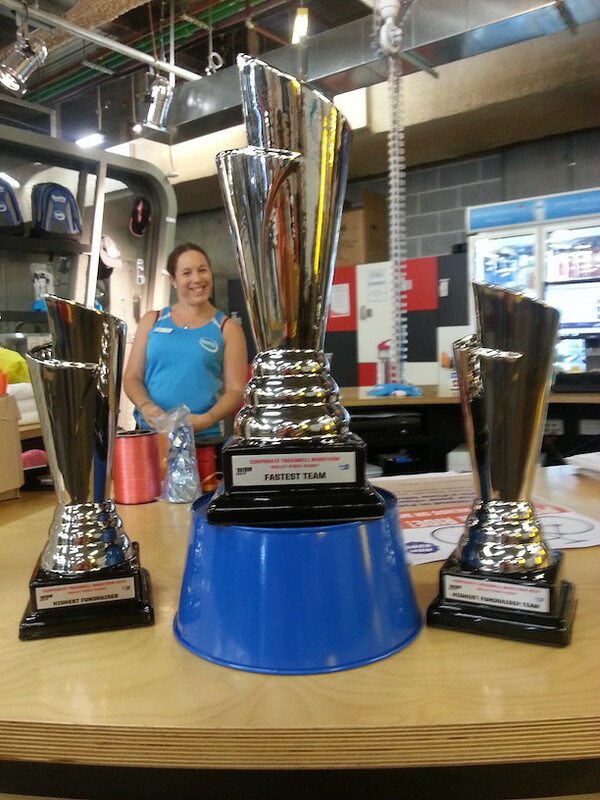 An additional thank you goes to our supporters that for the second – and for some third! 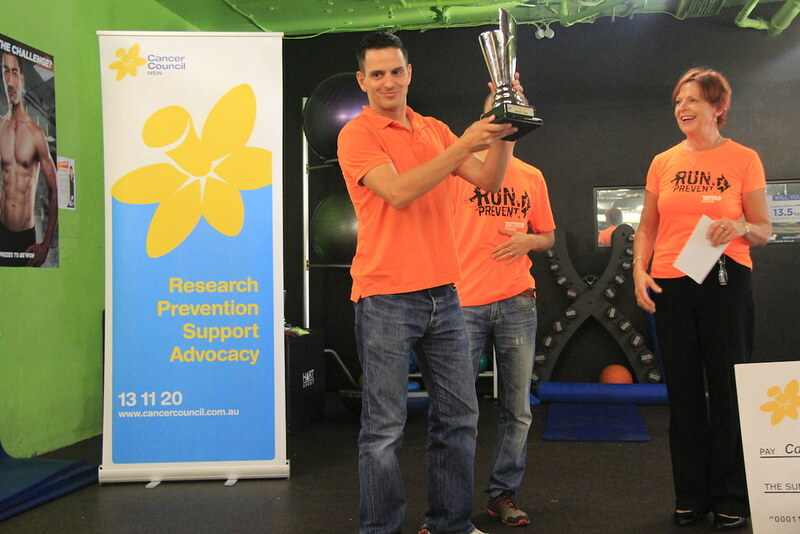 – year in a row, donate their time, money and resources to make sure everyone has a good time. 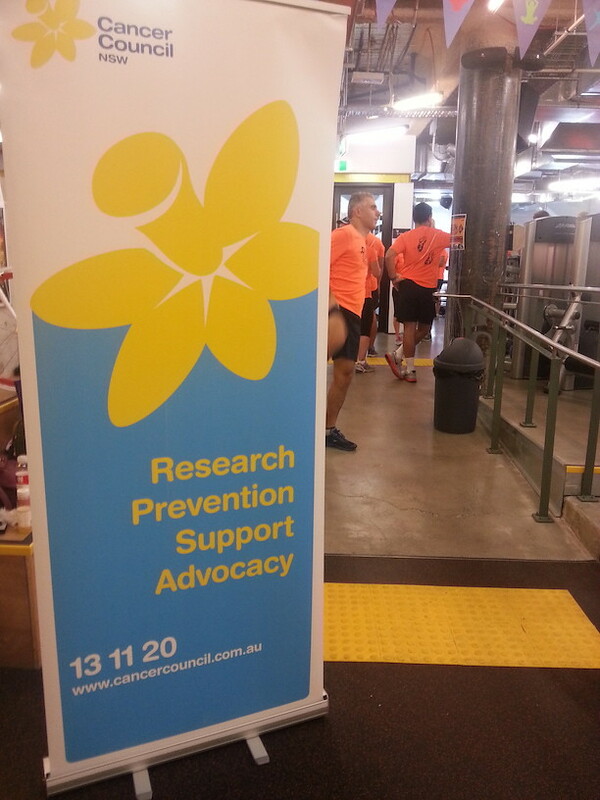 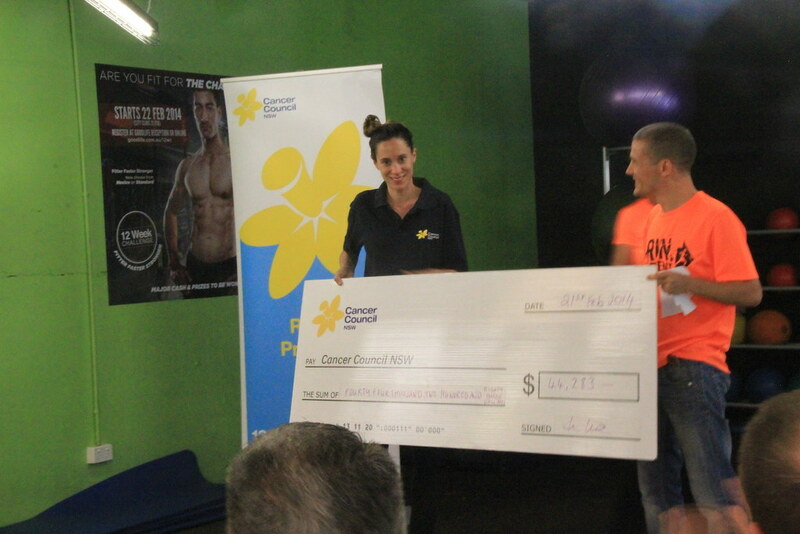 Lastly, a special thank you goes to Macquarie Foundation for the enormous financial contribution to our cause. 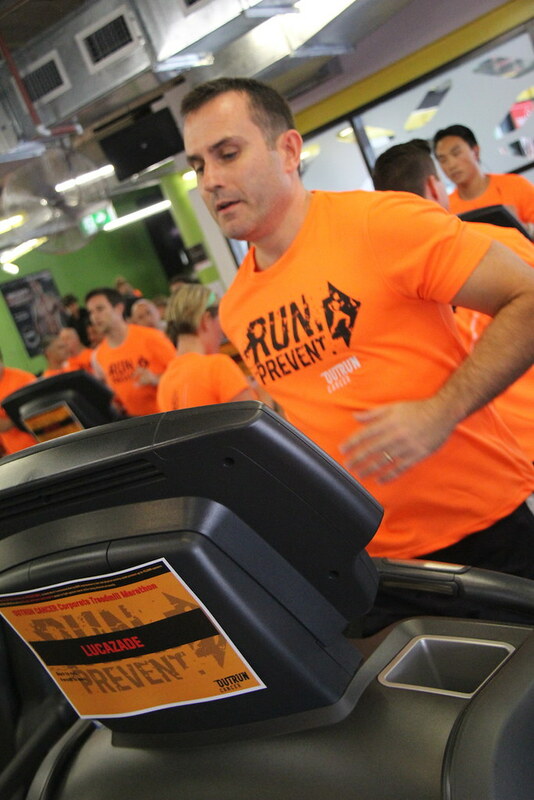 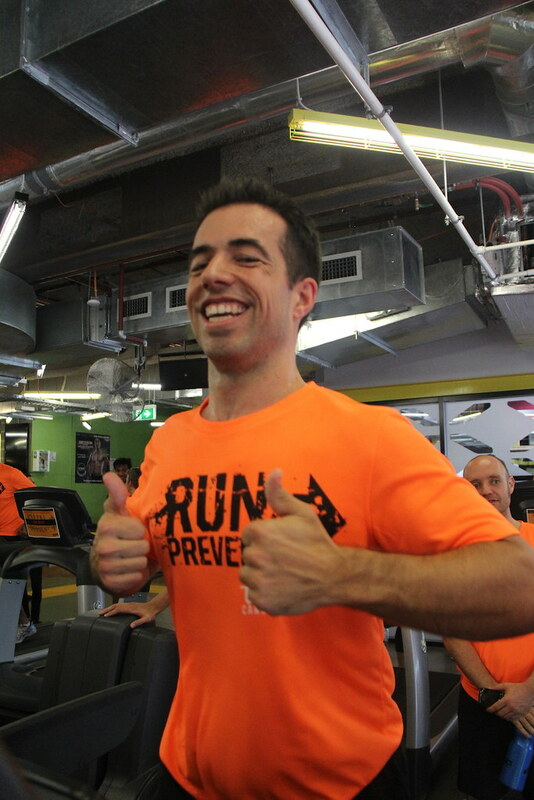 Macquarie Foundation matched the funds raised by all Macquarie Bank employees, for a grand total of $19,503. 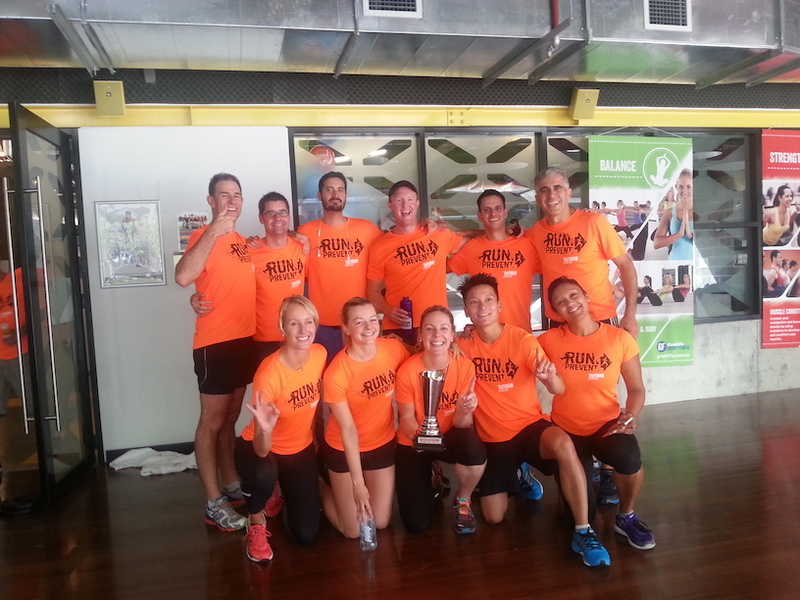 After winning last year event for just 15 seconds, the AMEX GMS team came in favourite for 2014. 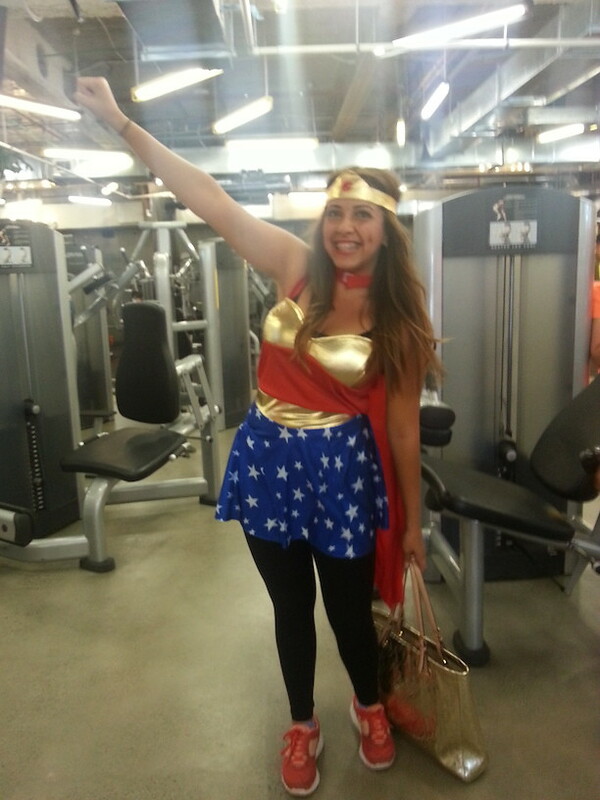 And they didn’t disappoint. 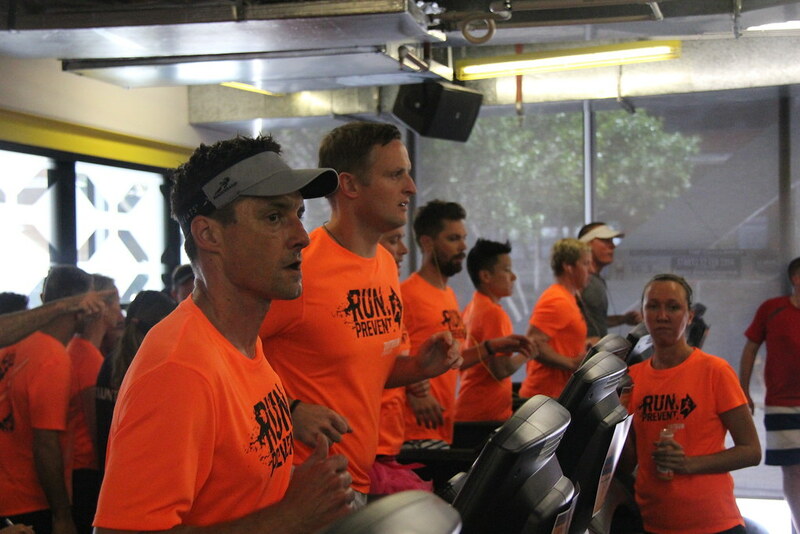 They led right from the start improving their time by 13 minutes and setting the new record for the fastest marathon to 2:37. 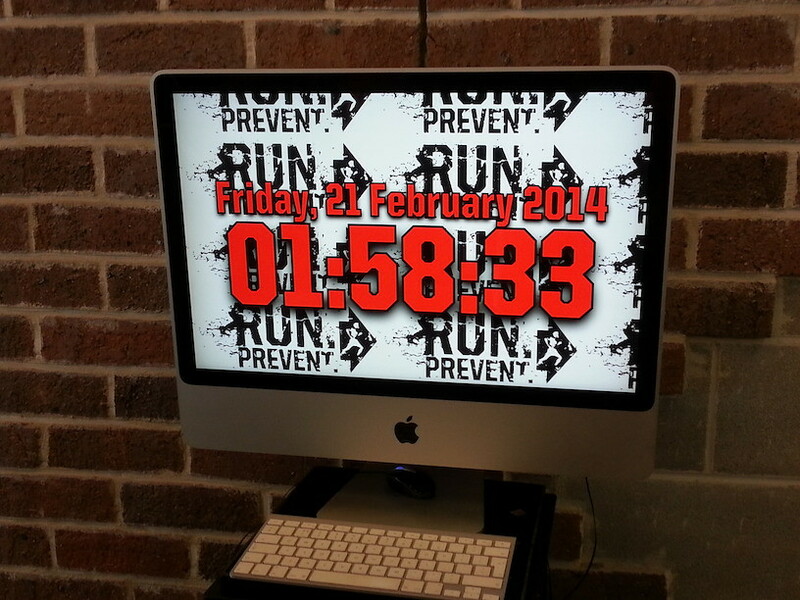 Impressive time. 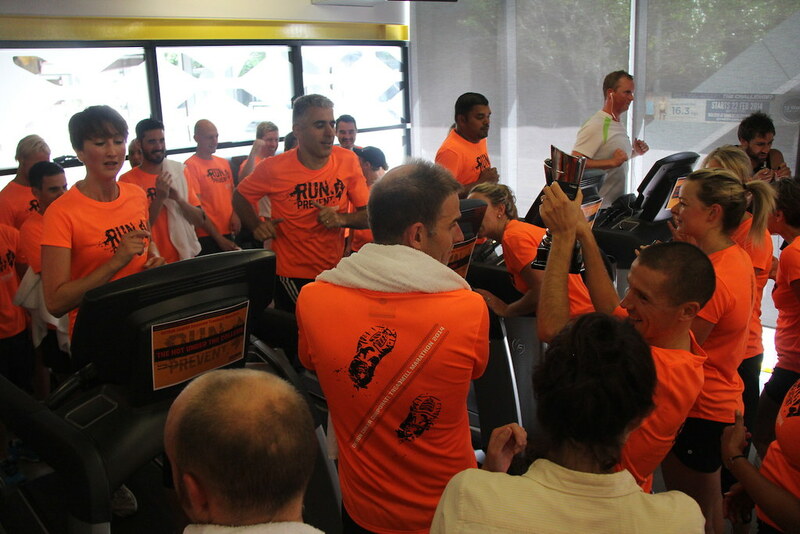 But the other teams were not too far behind, with 4 other teams completing the marathon in under 03:05, with massive Personal Bests. 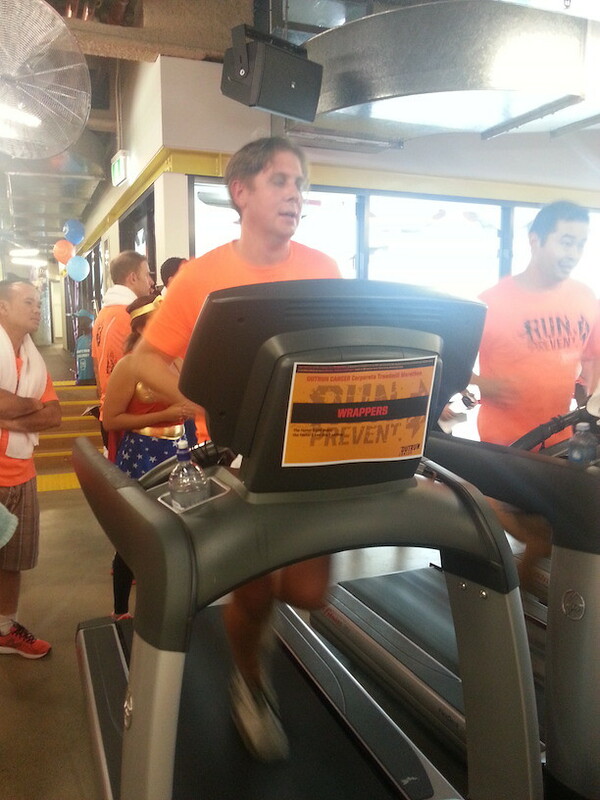 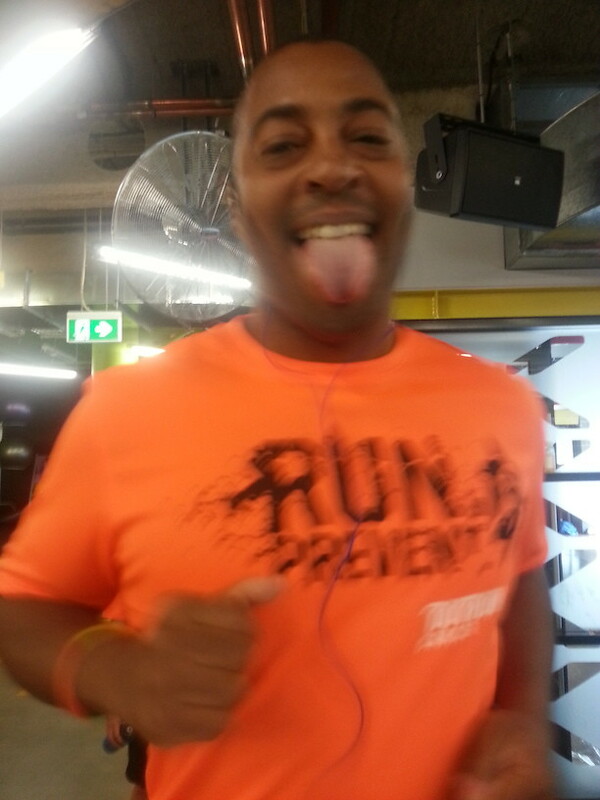 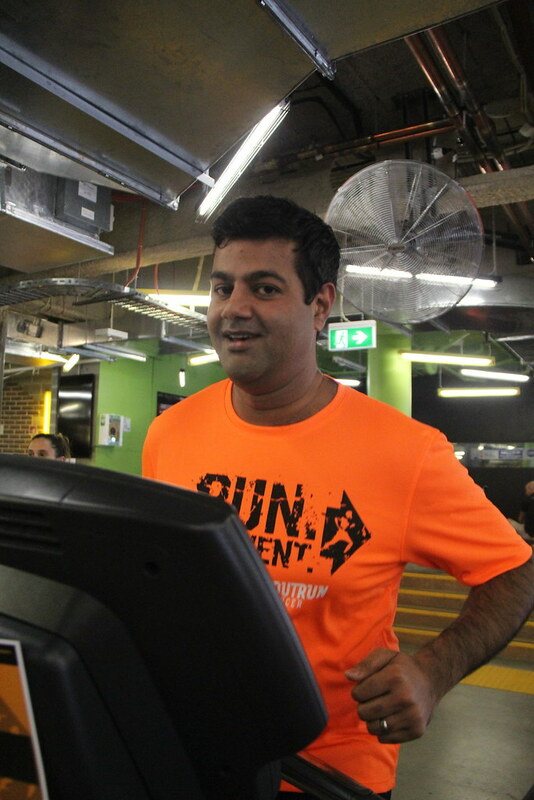 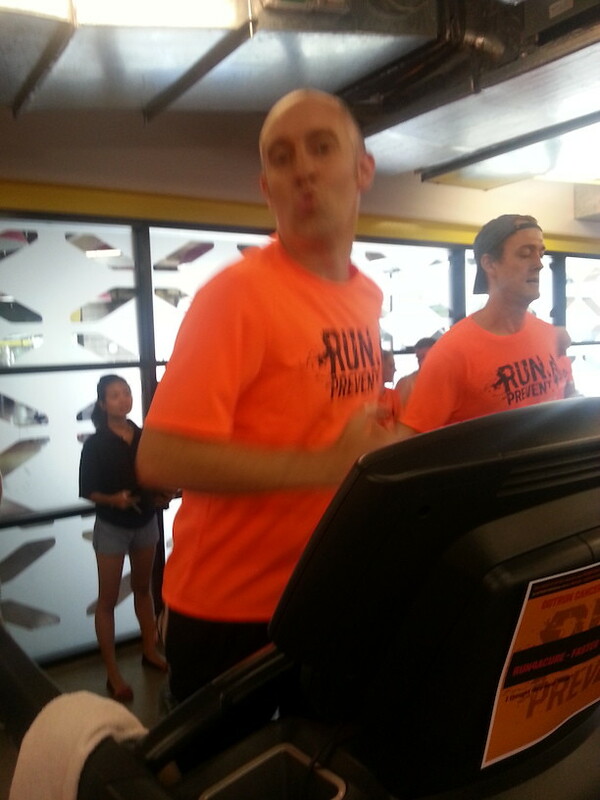 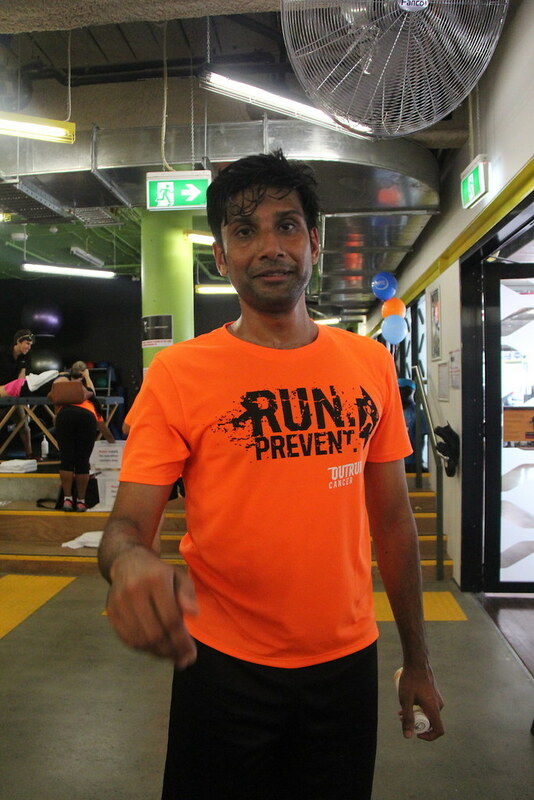 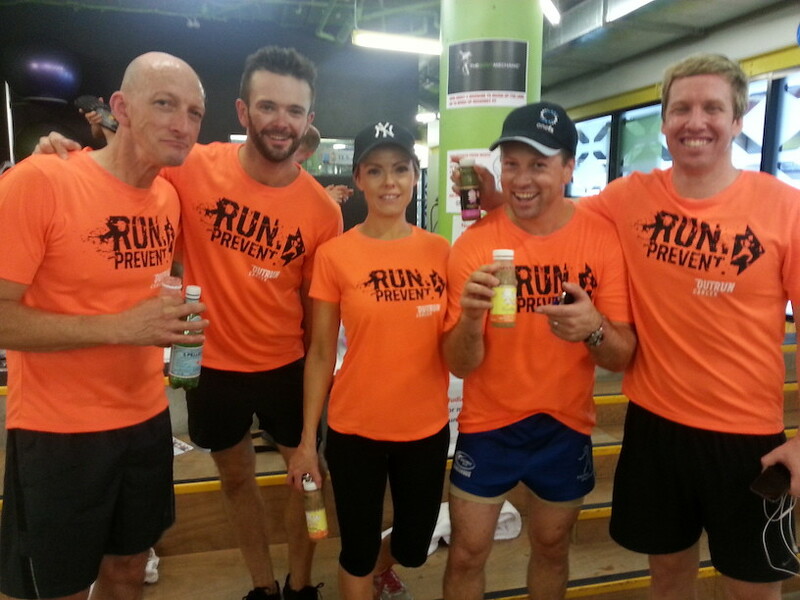 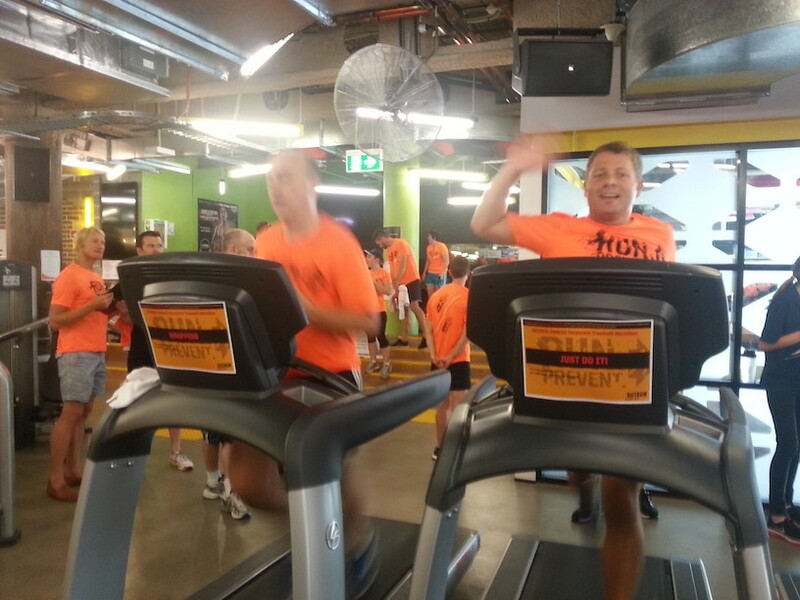 he BB Guns team from Macquarie Bank deserves a special mention for their 2:52 marathon time. 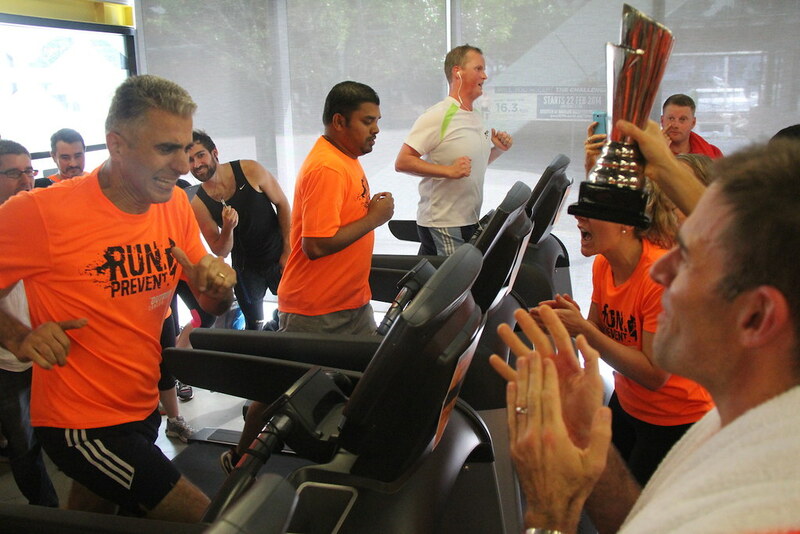 First timers and last minute entry, they are certainly contenders for next year win. 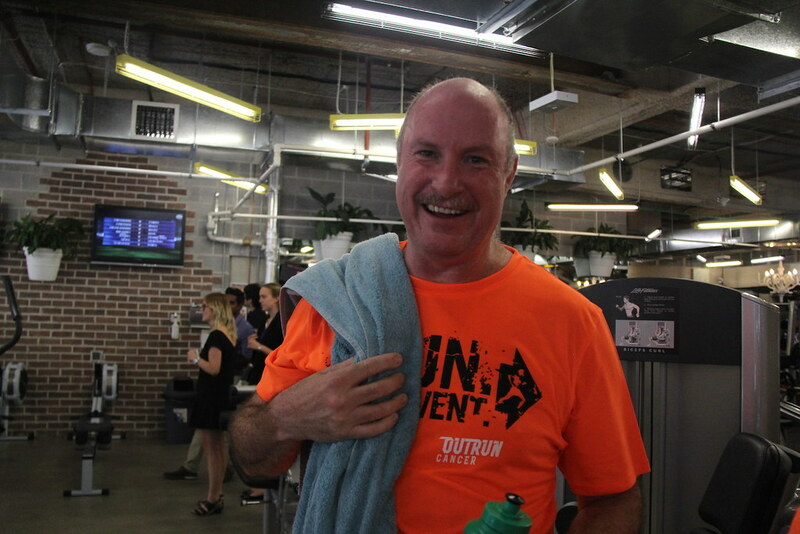 Another first timer, THEHOTUNDERTHECOLLERS team from our friends from The Shirt Bar, completed the challenge with 8 minutes to spare. 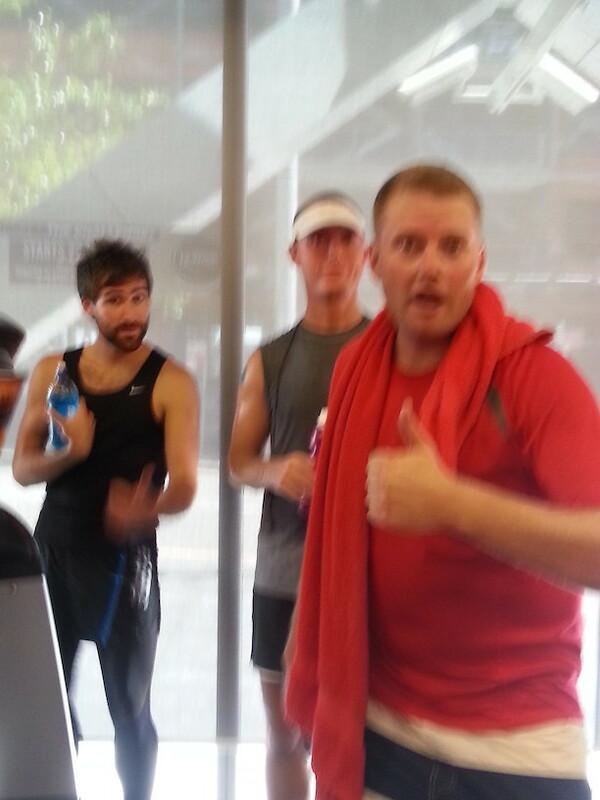 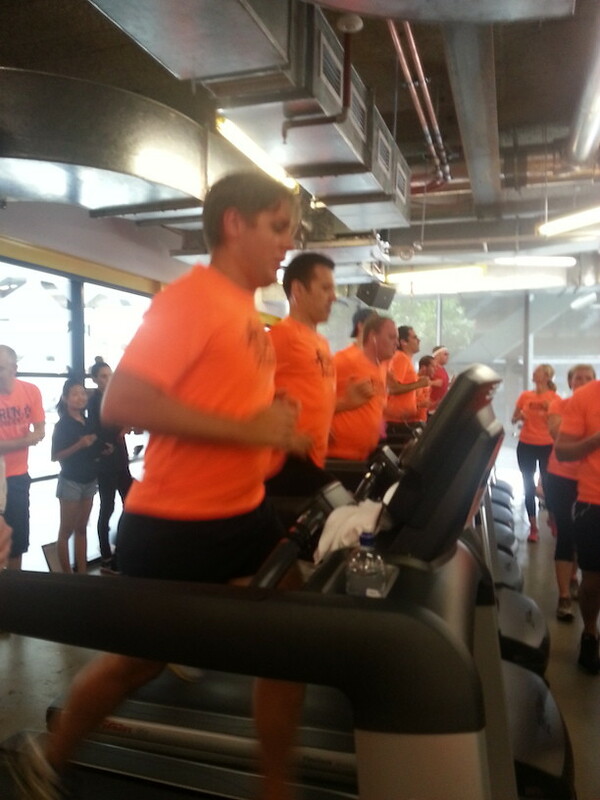 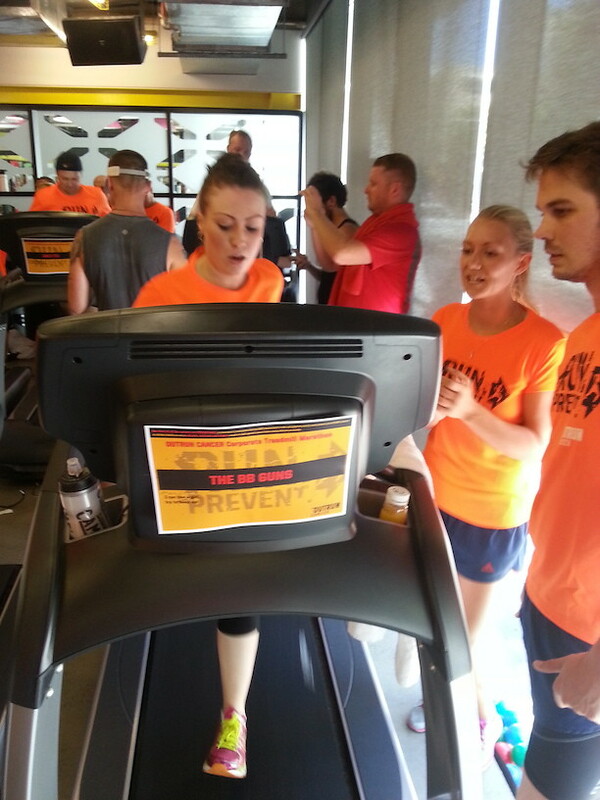 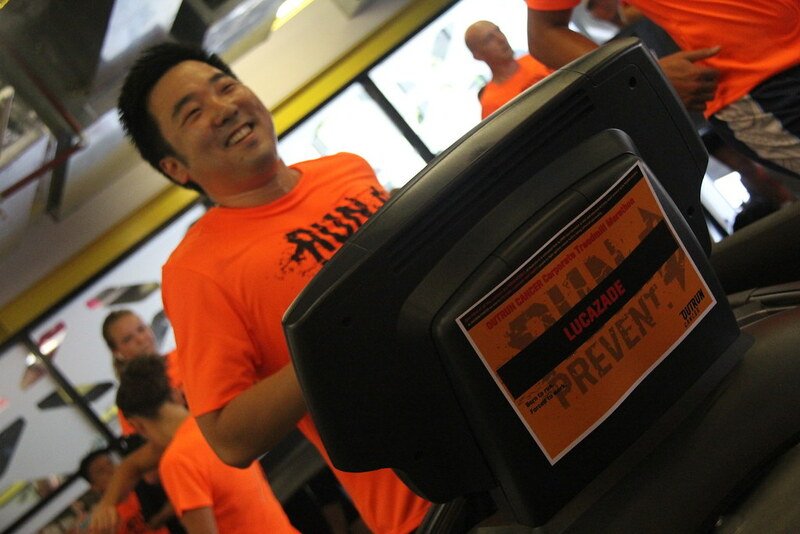 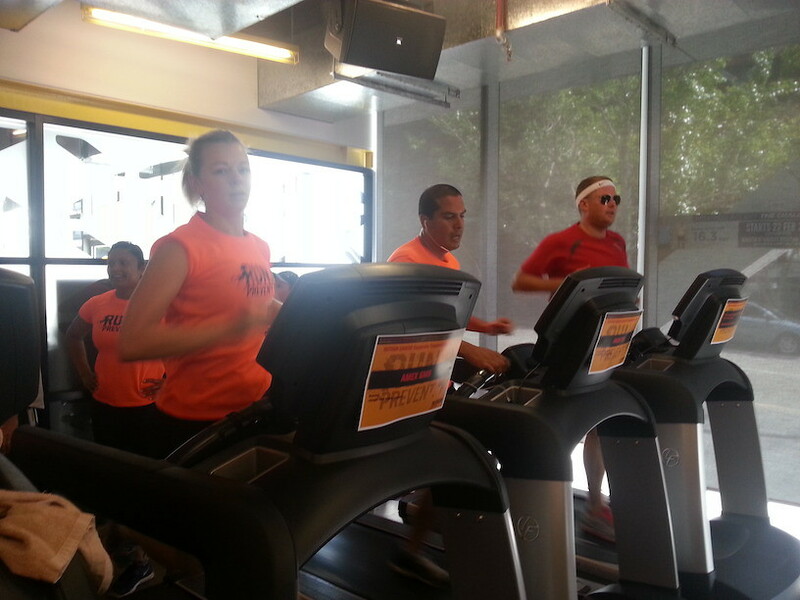 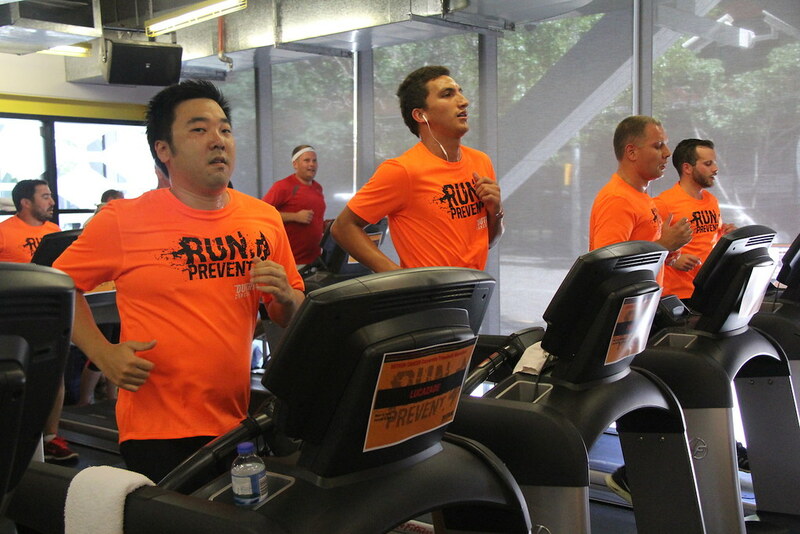 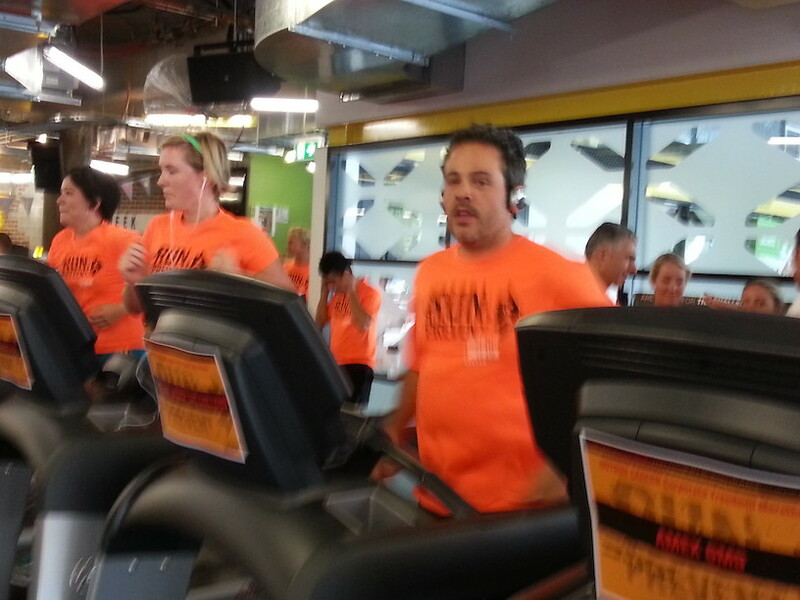 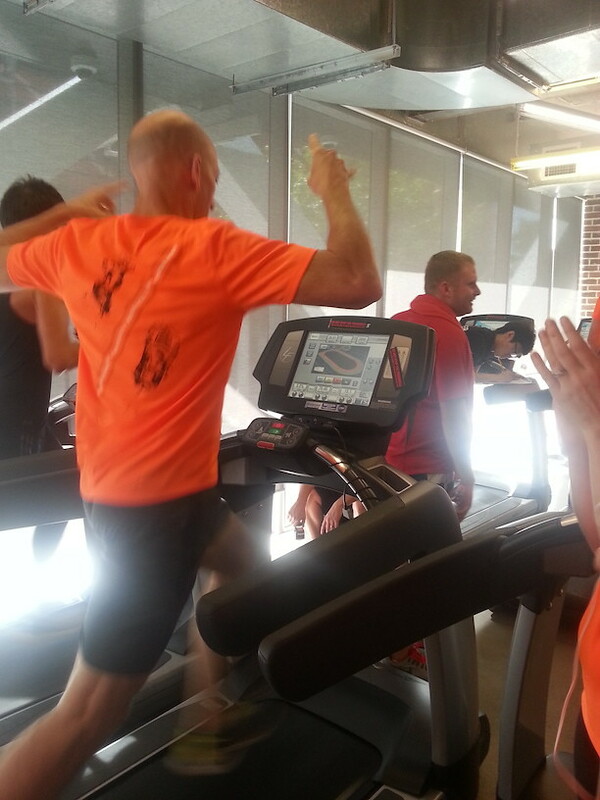 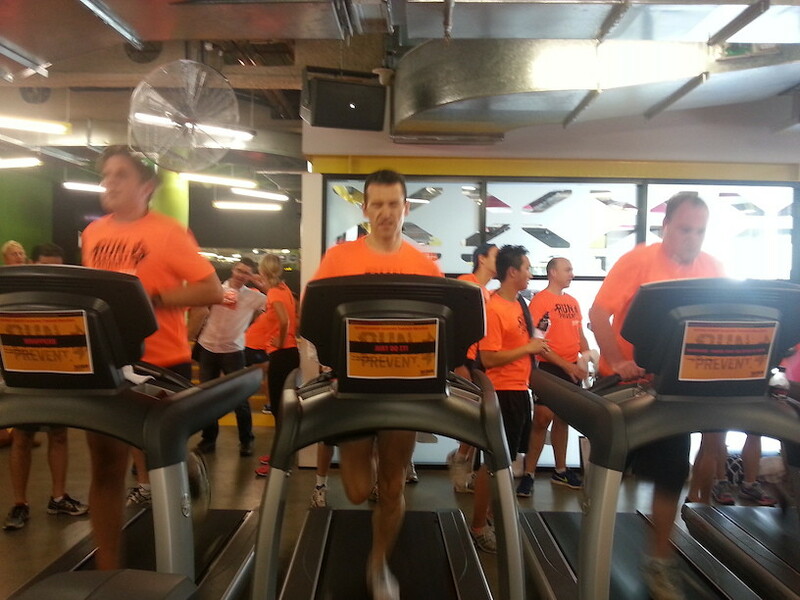 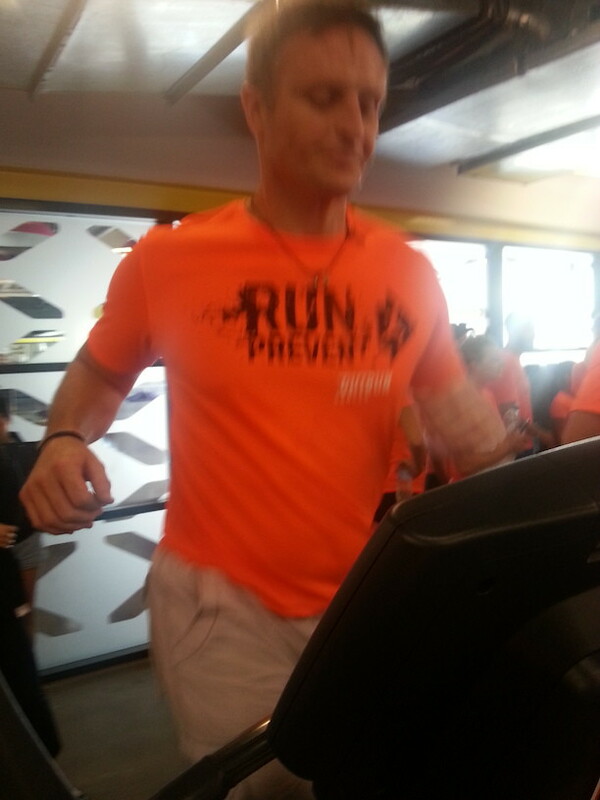 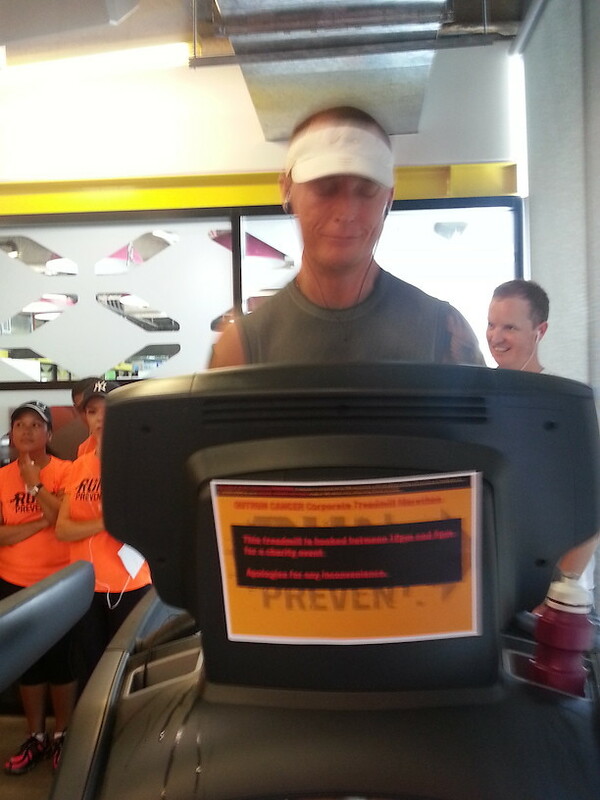 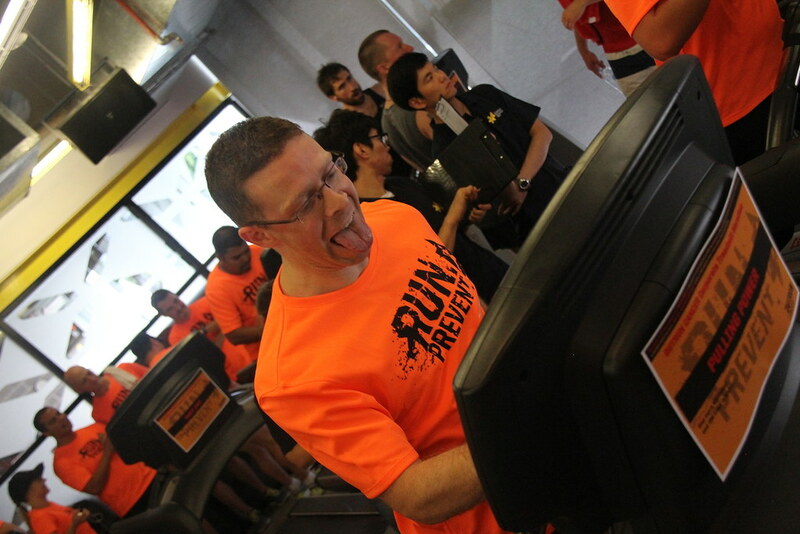 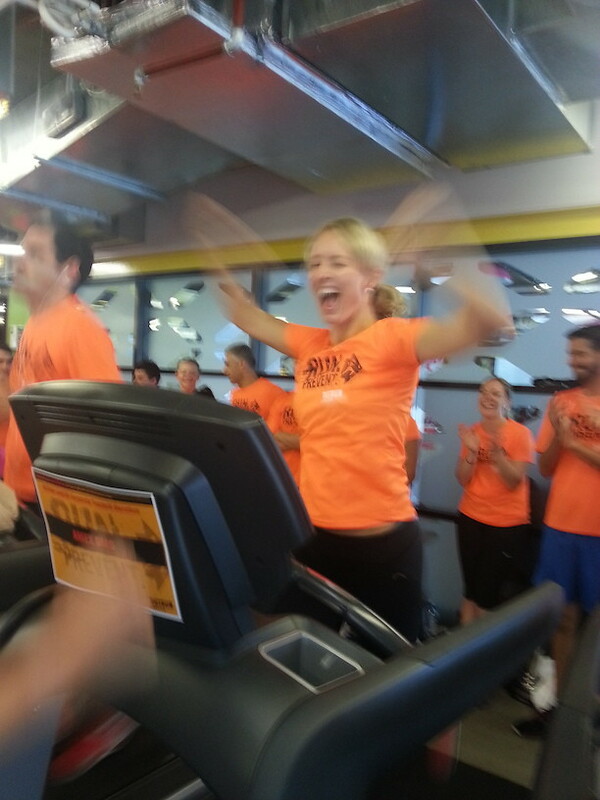 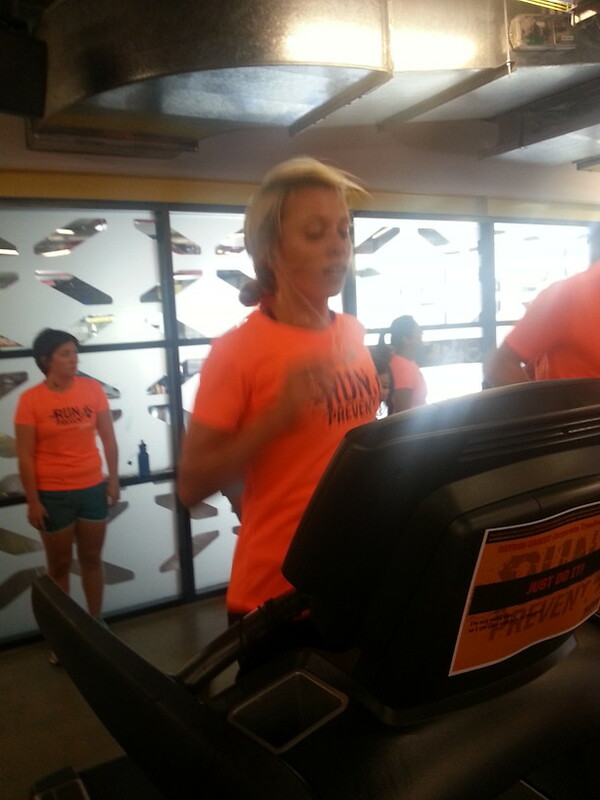 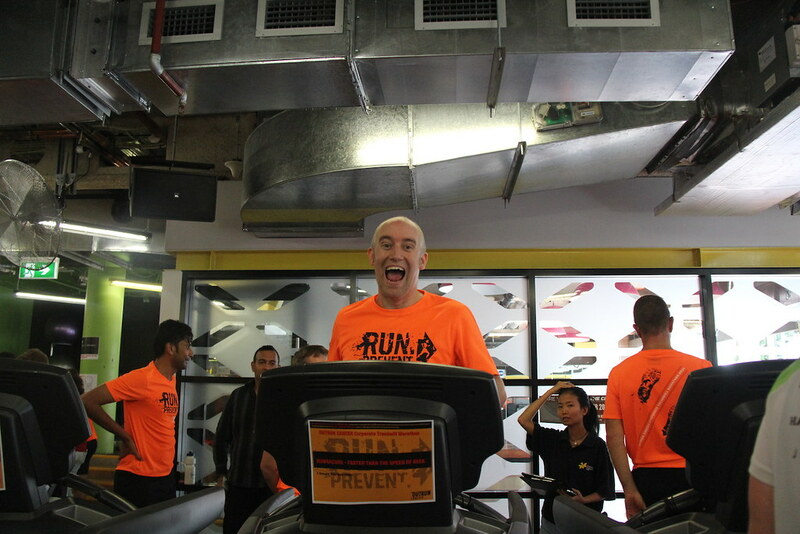 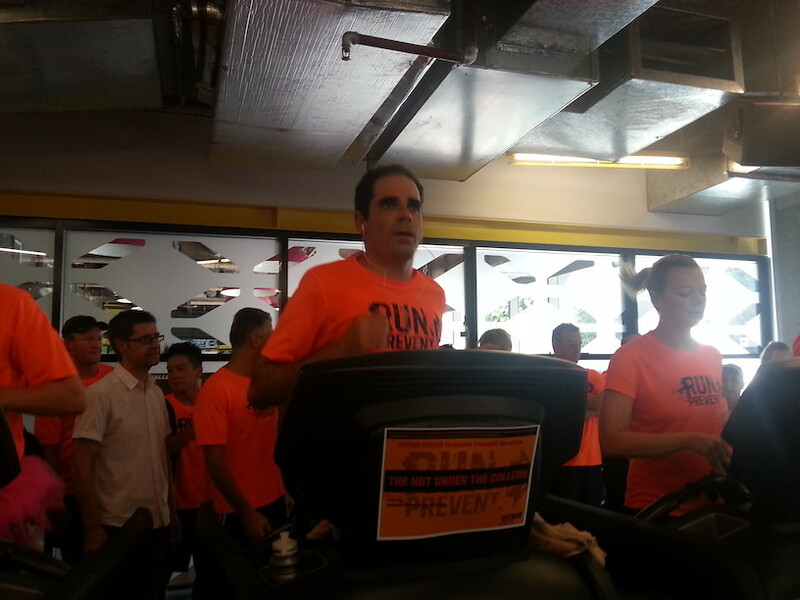 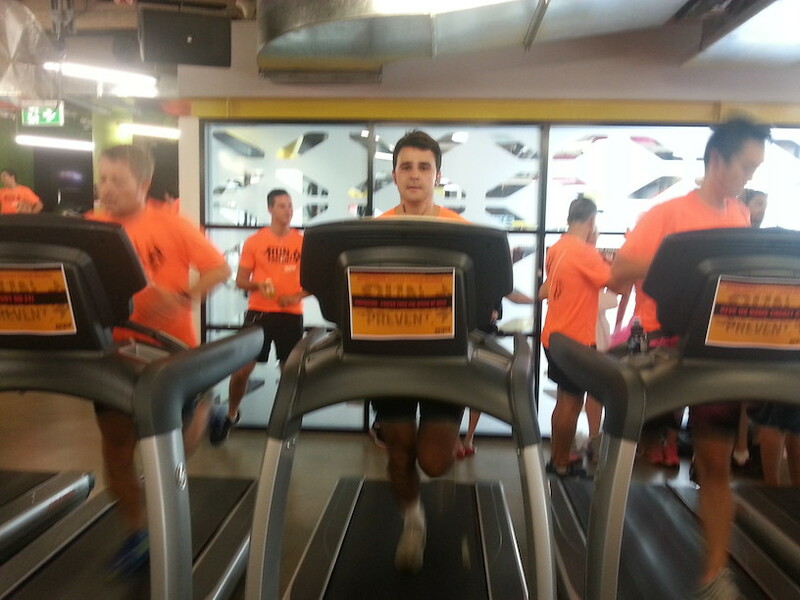 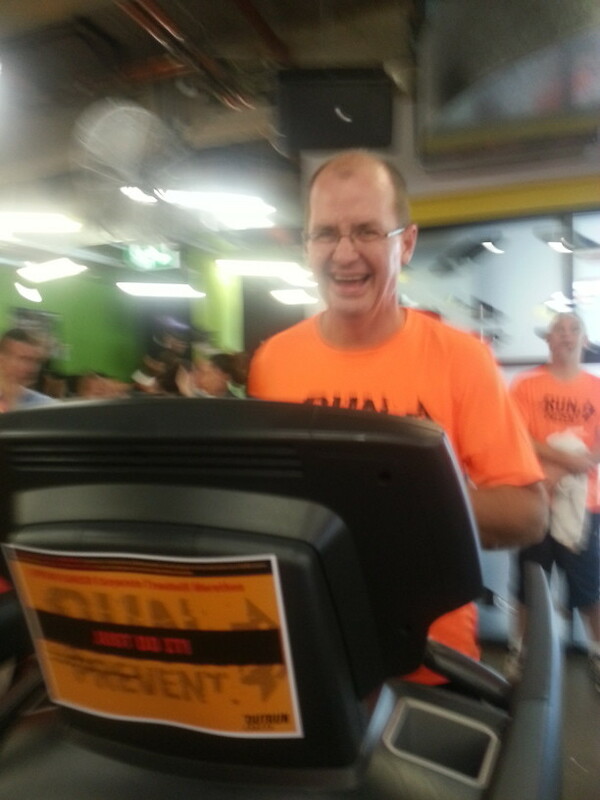 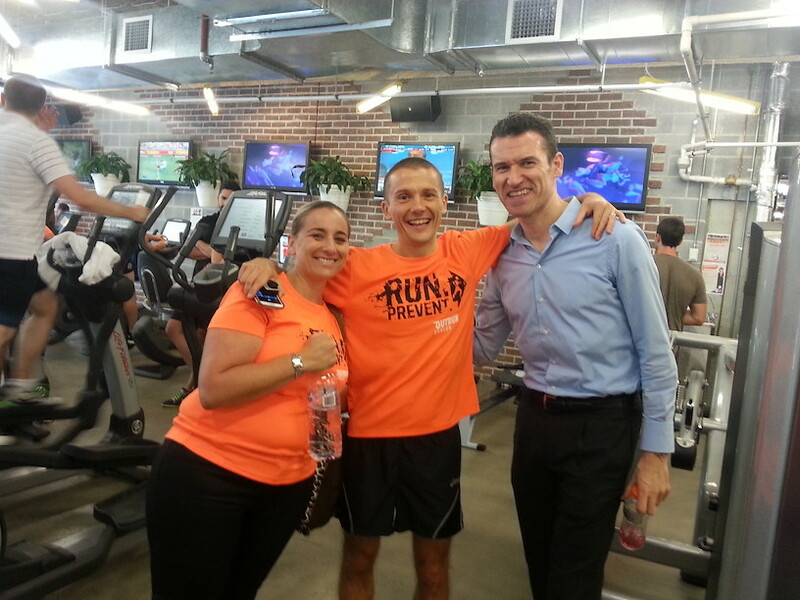 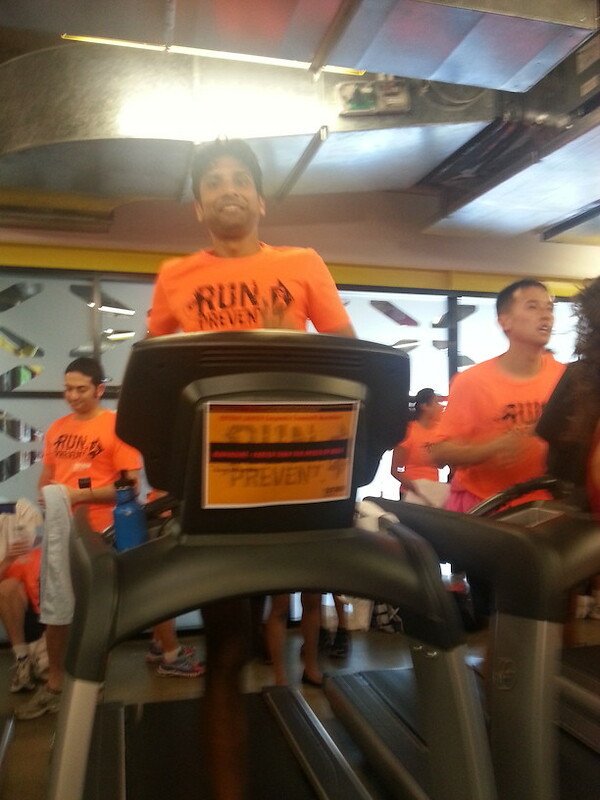 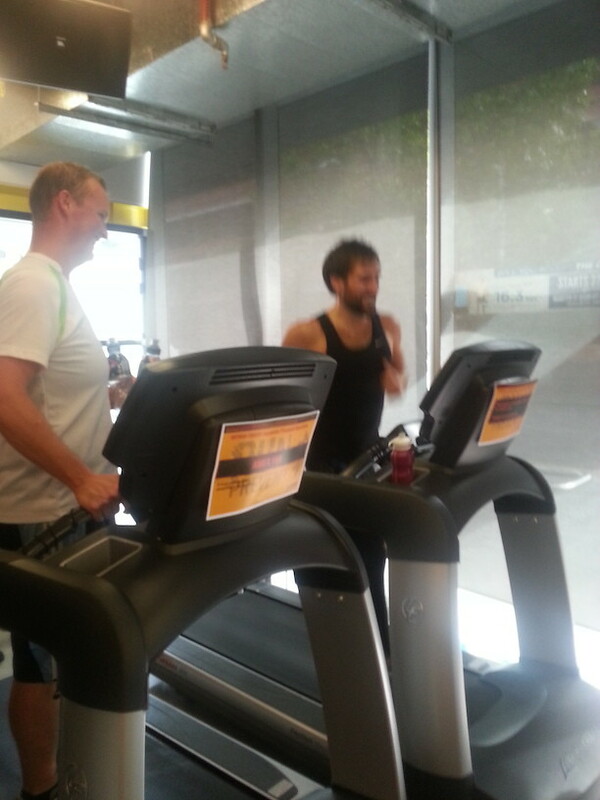 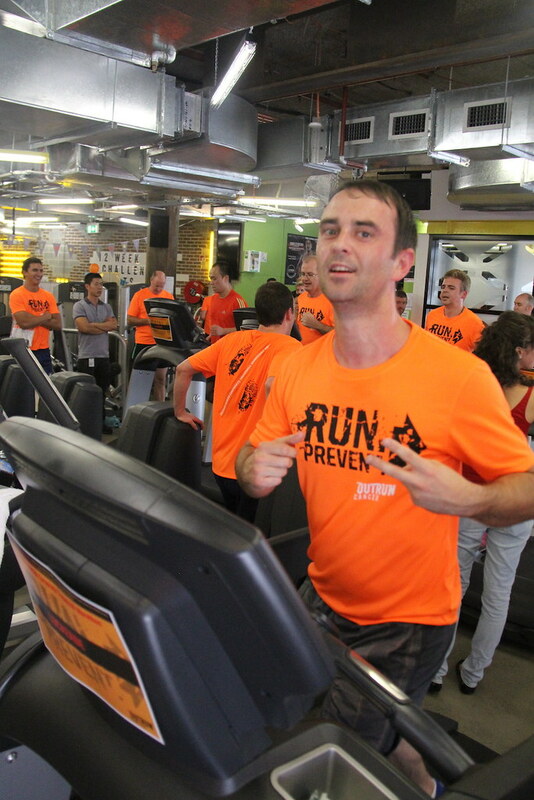 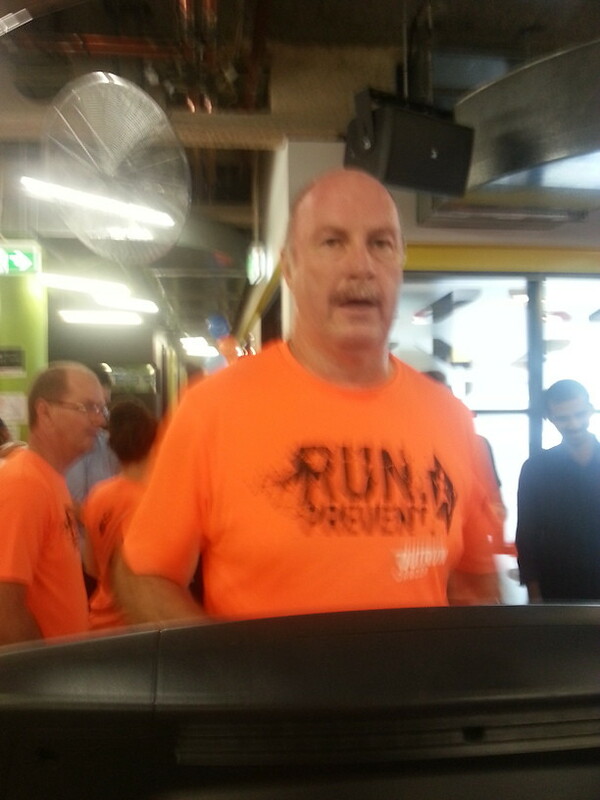 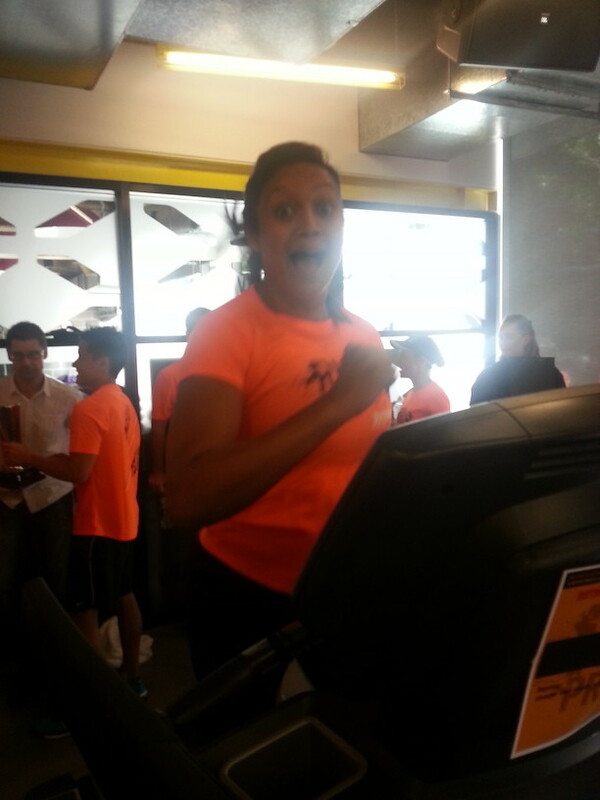 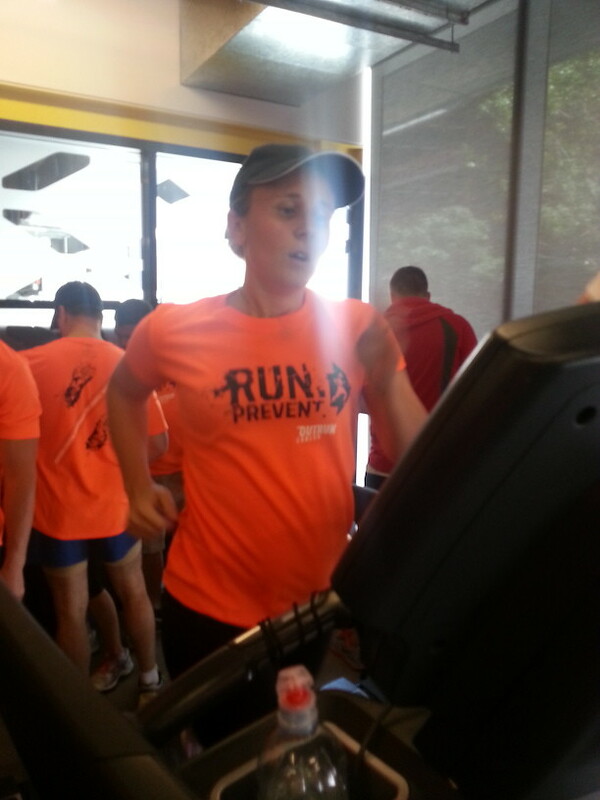 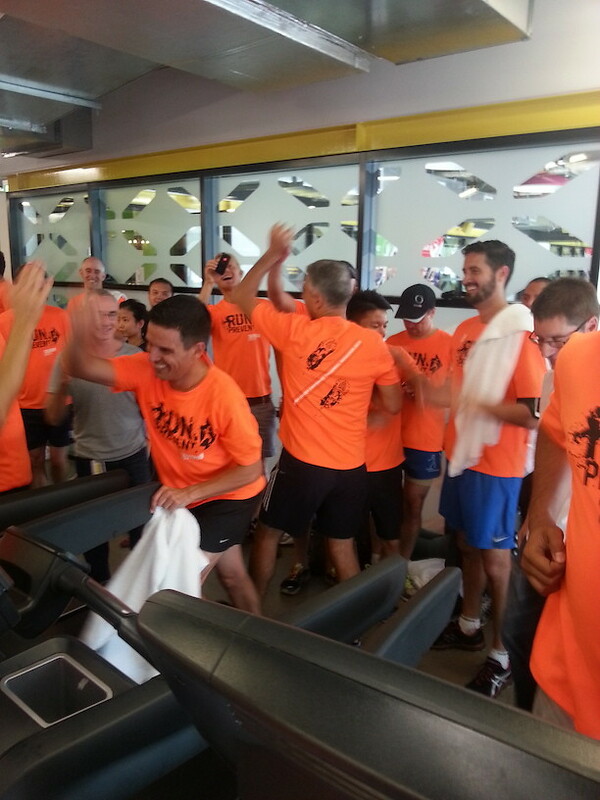 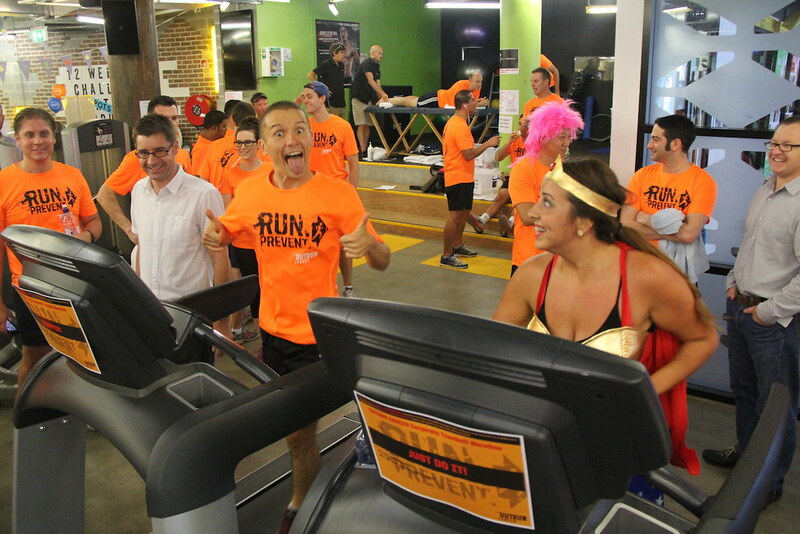 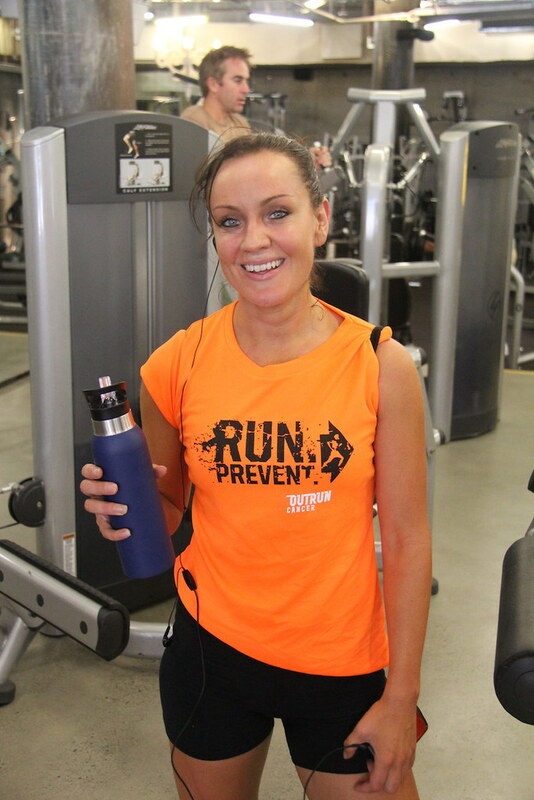 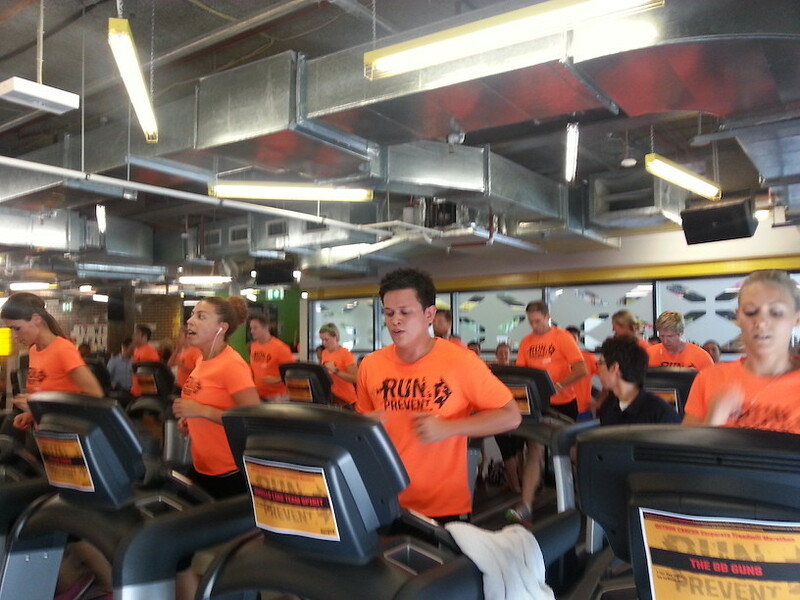 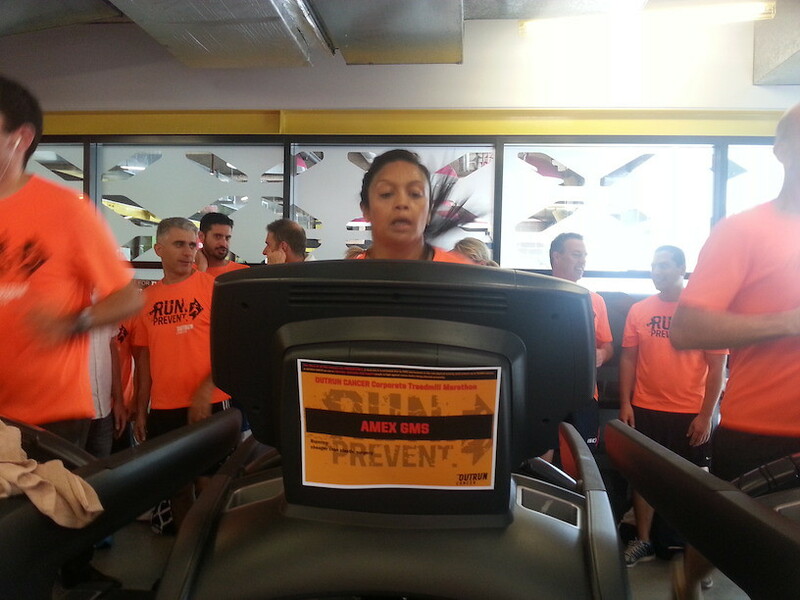 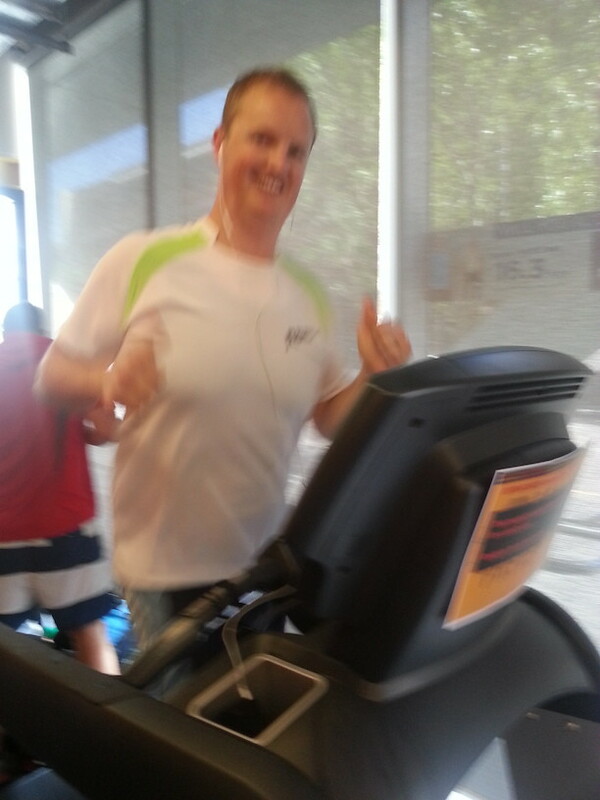 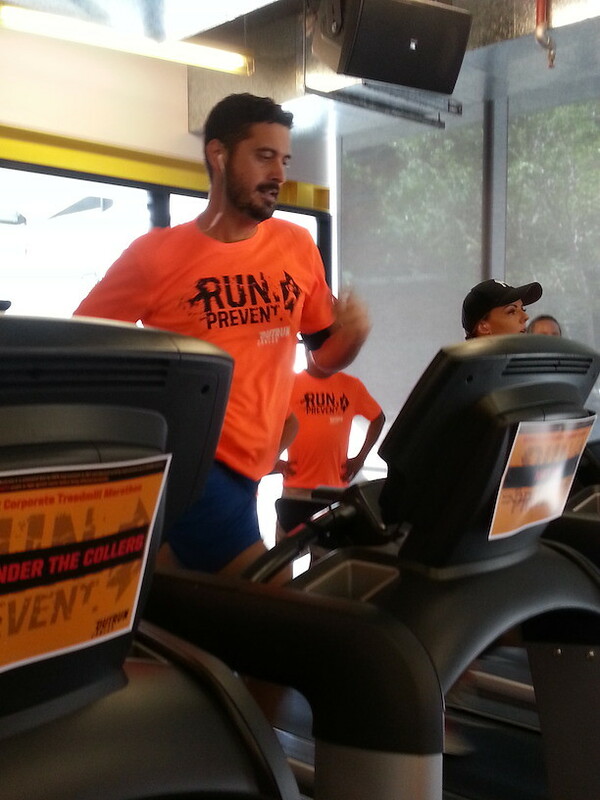 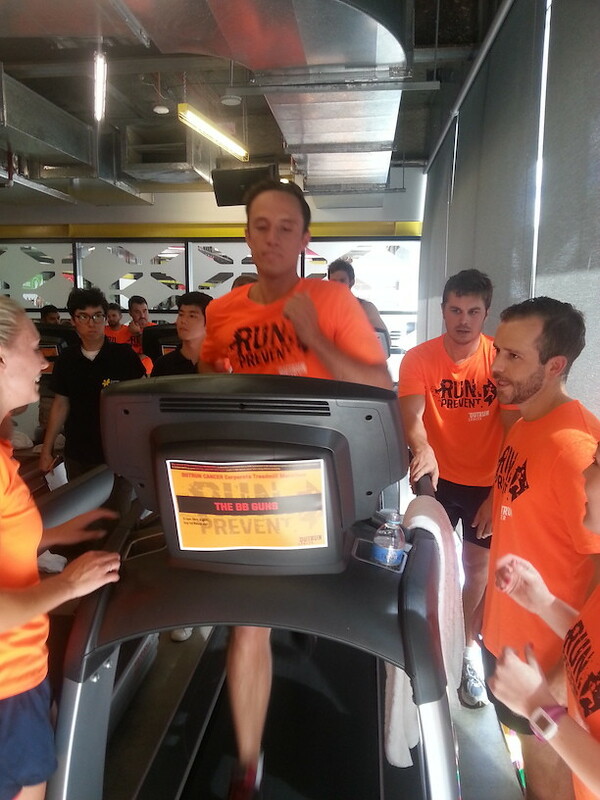 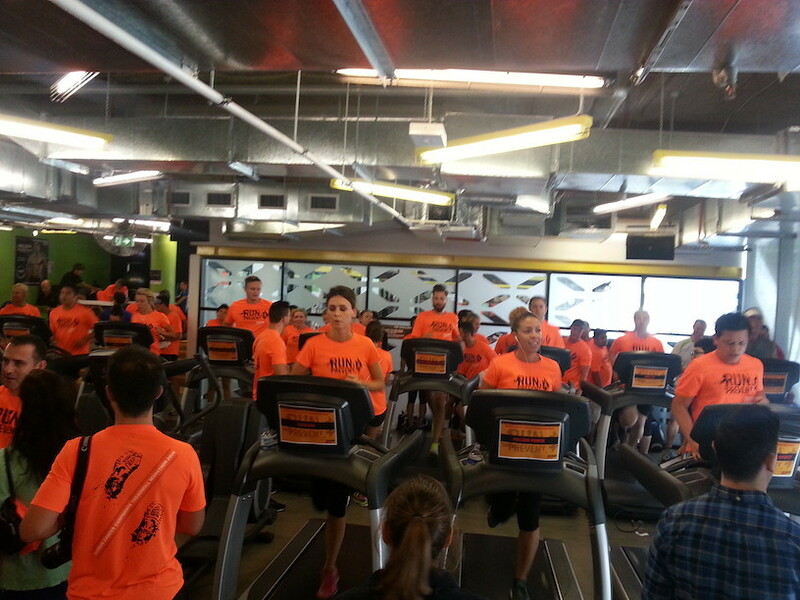 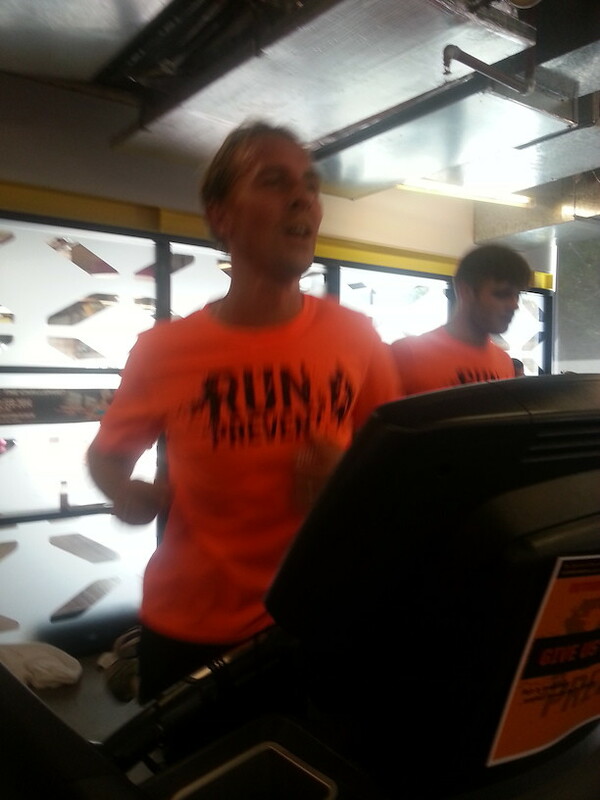 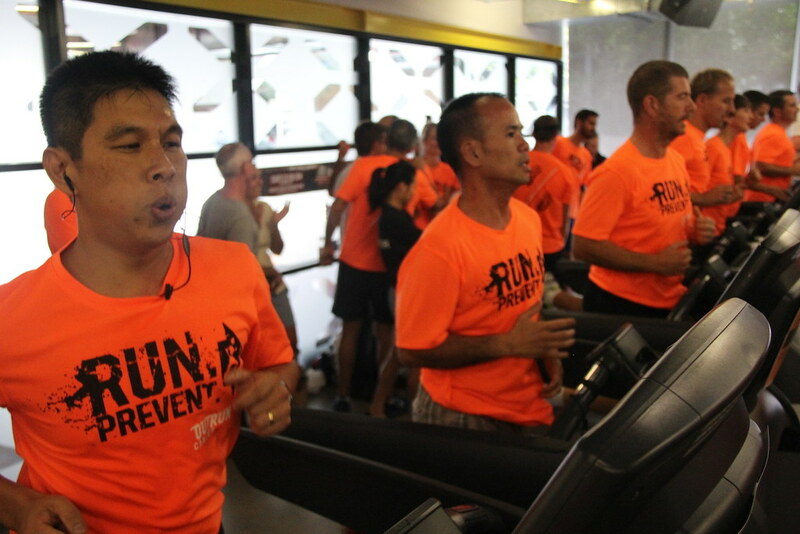 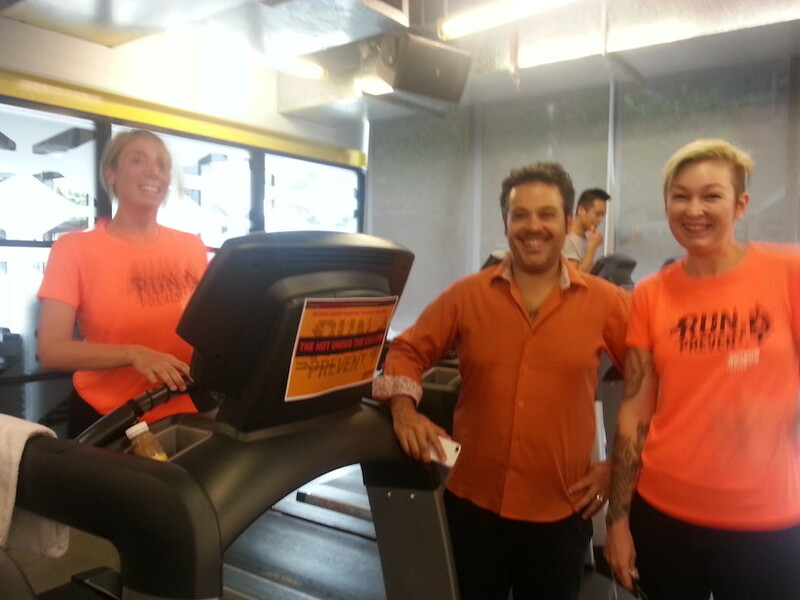 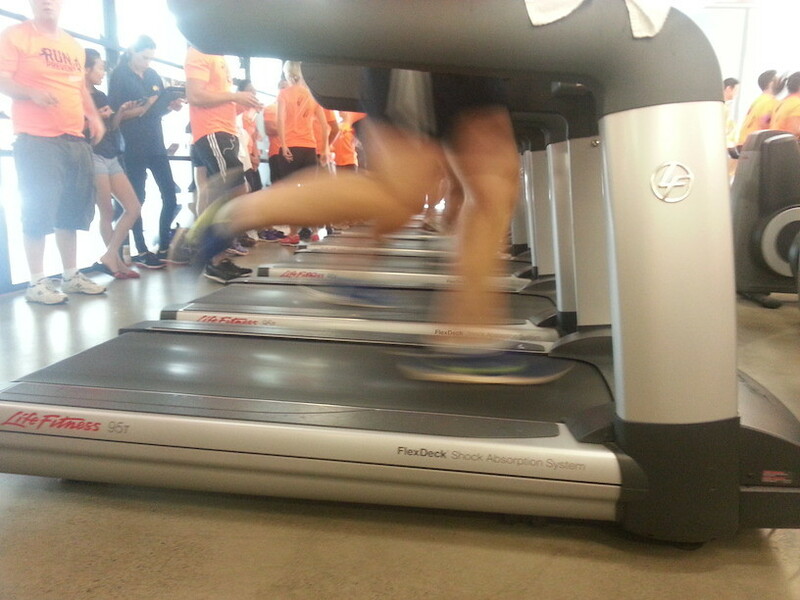 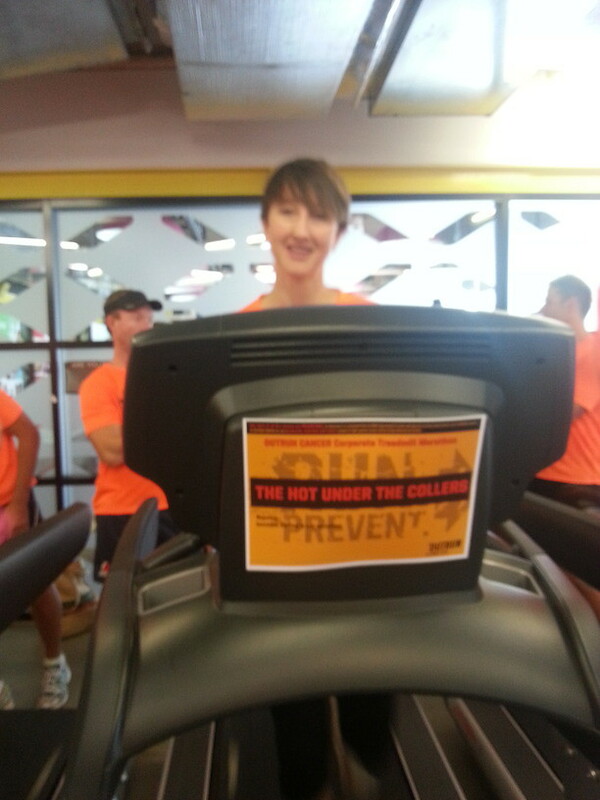 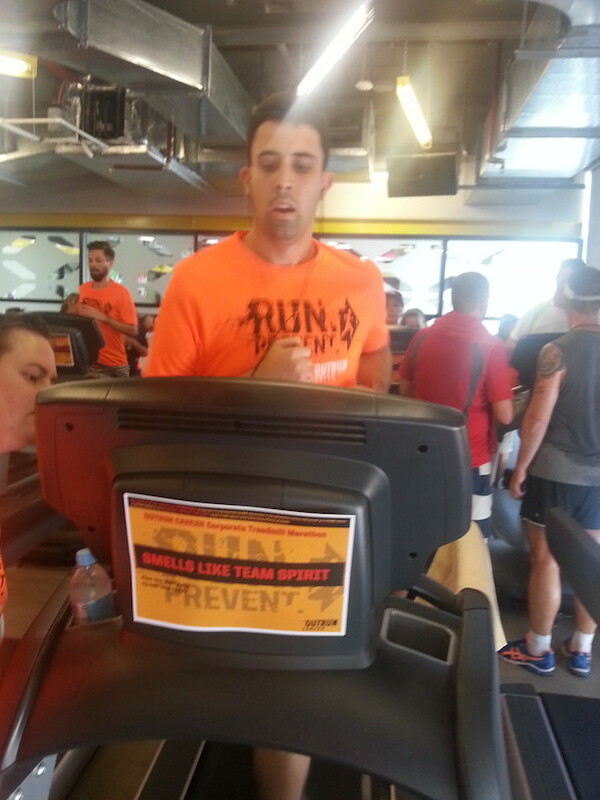 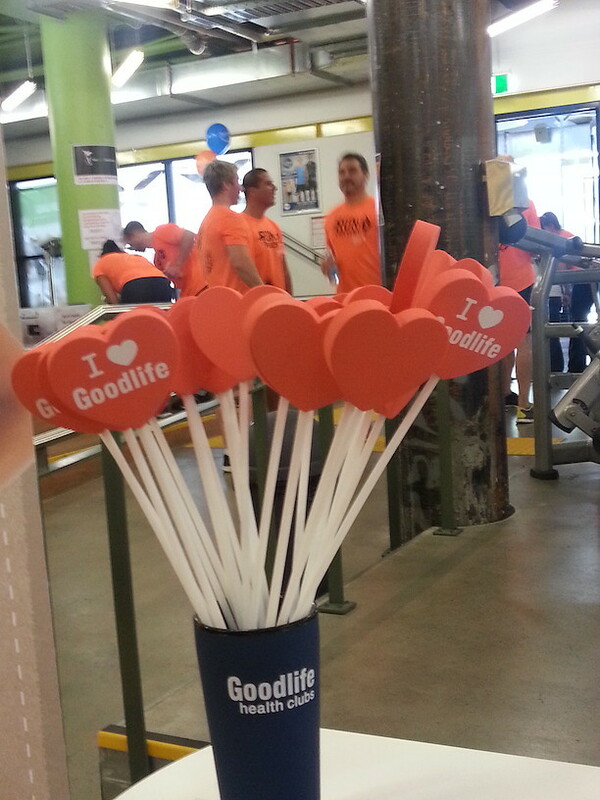 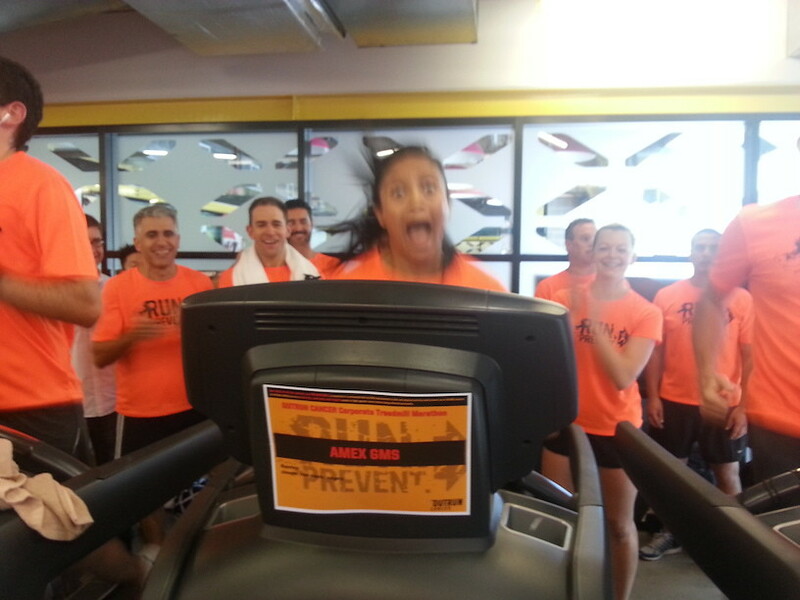 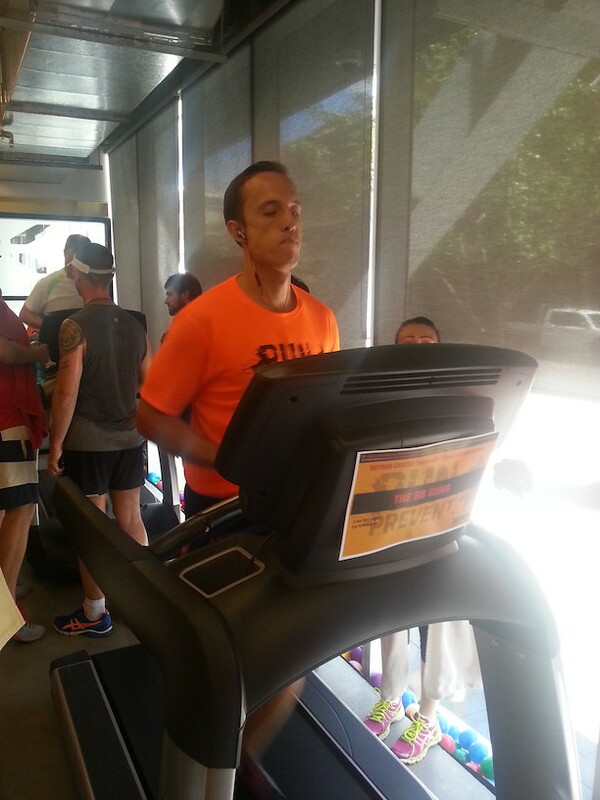 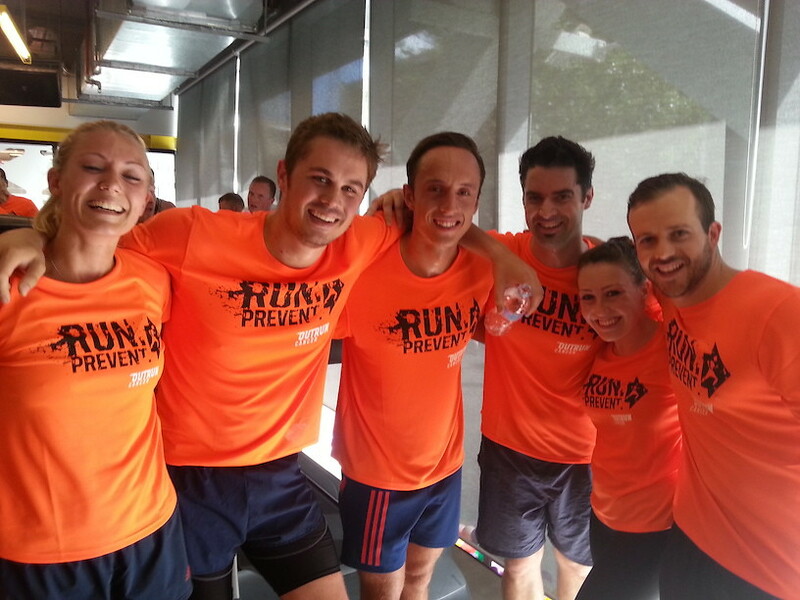 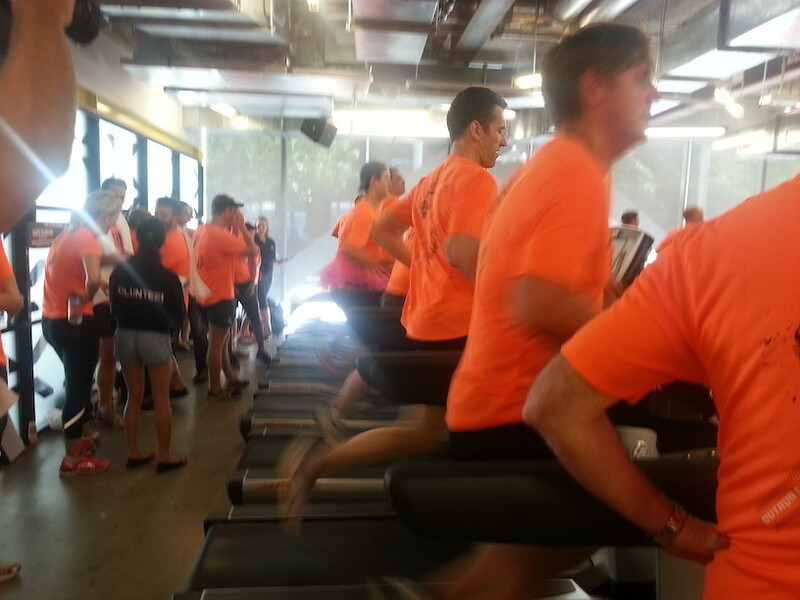 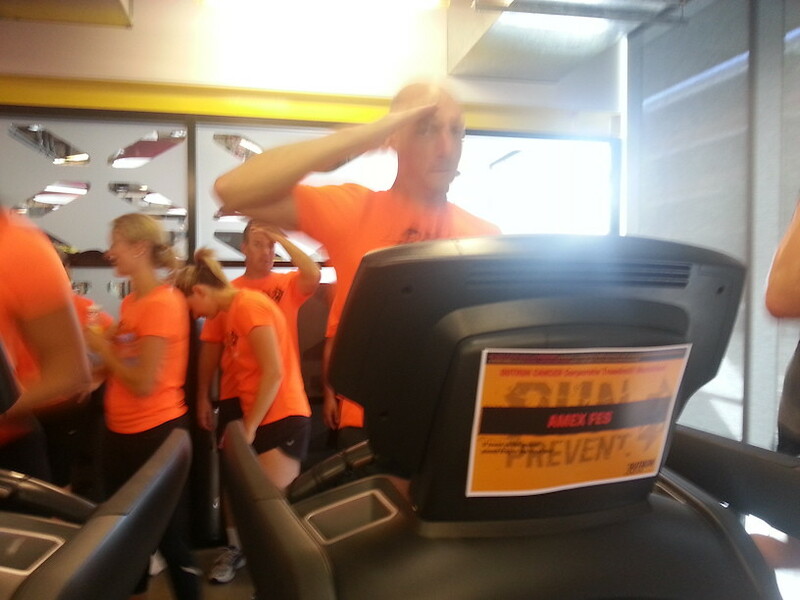 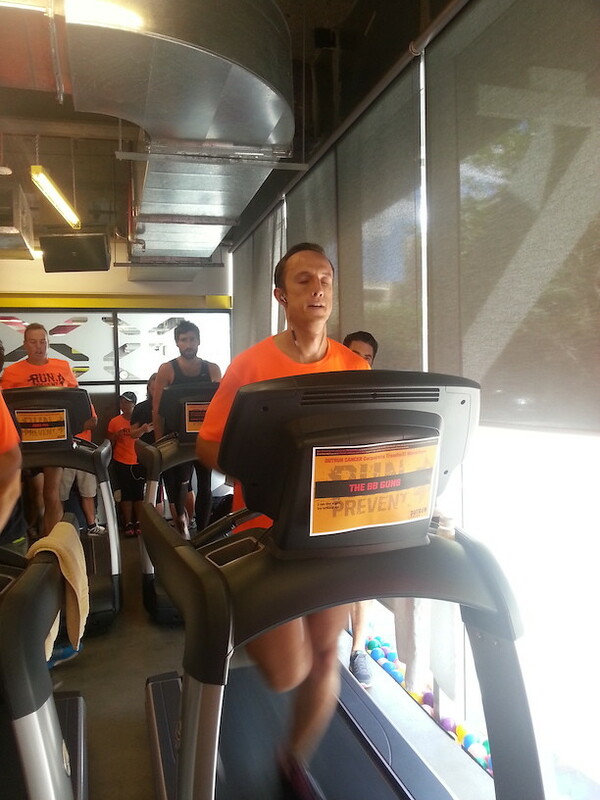 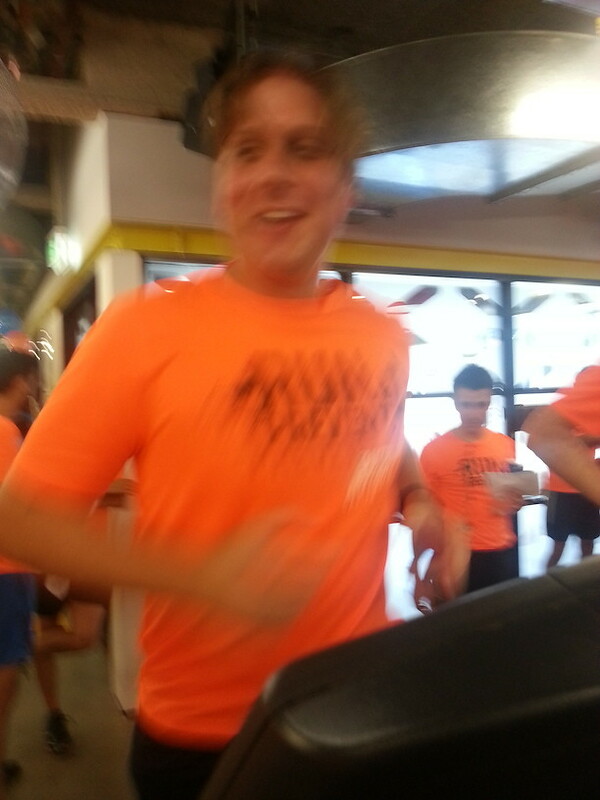 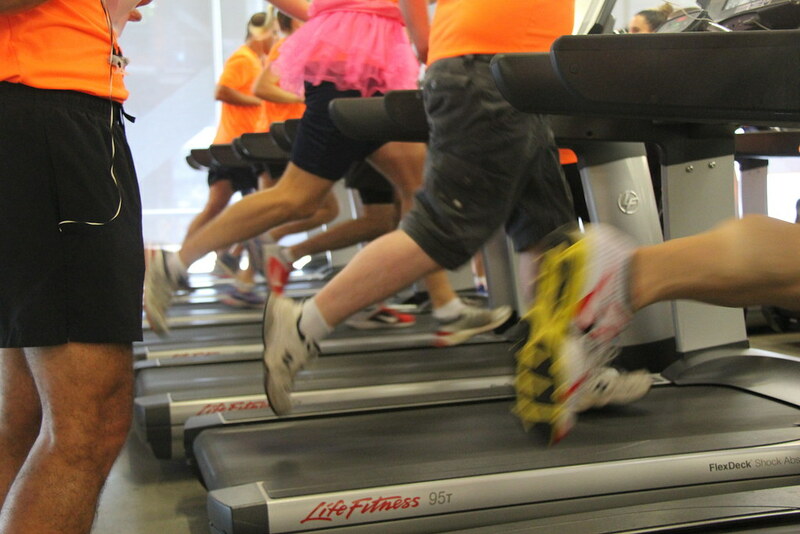 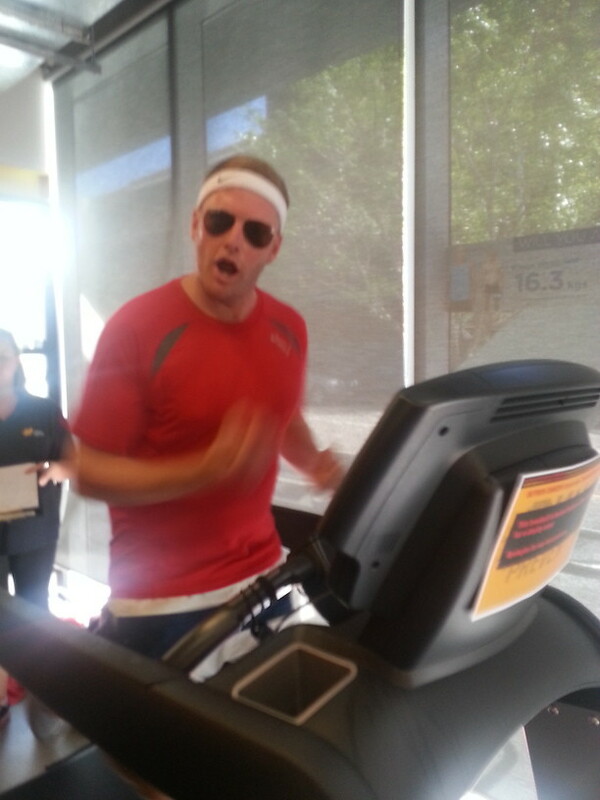 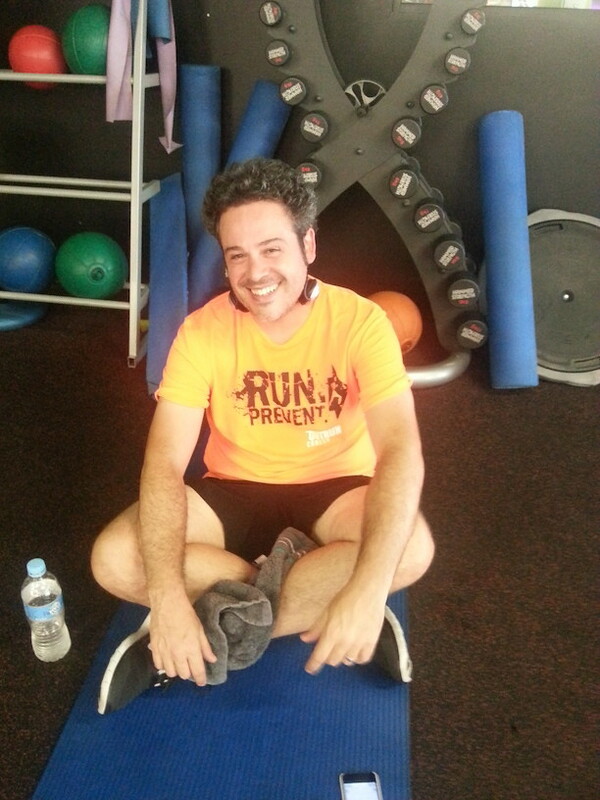 A great effort considering they were also assigned the “hottest” treadmill in the gym! On the fundraising front, the two weeks leading up to the event were a battle to the last dollar. 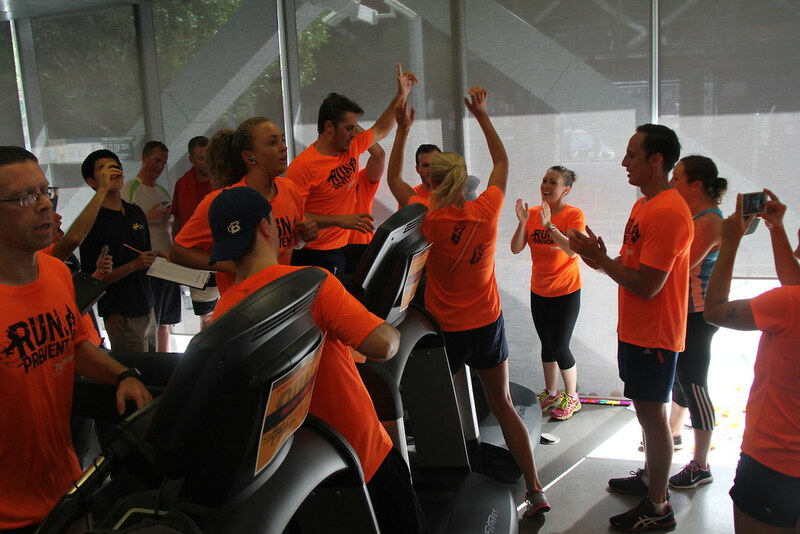 The fundraising leaderboard changed so many times that it was difficult to keep track which team was leading as it would change every day. 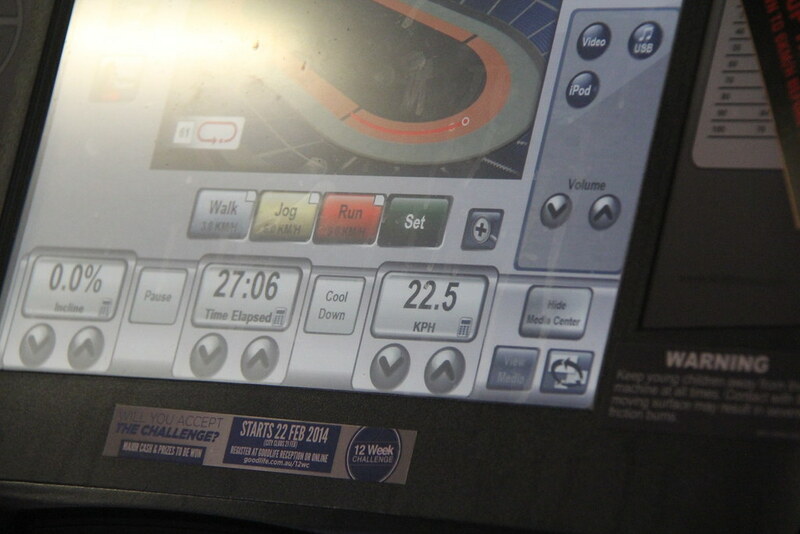 In the two days leading to the marathon, it was changing almost every hour. 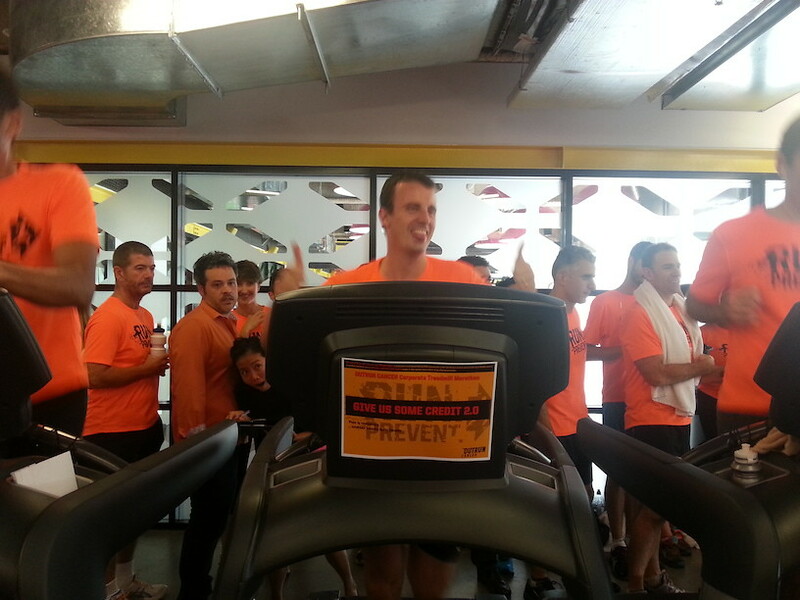 I have seen all sort of funny caricatures and team pictures going around as pledge for donations. 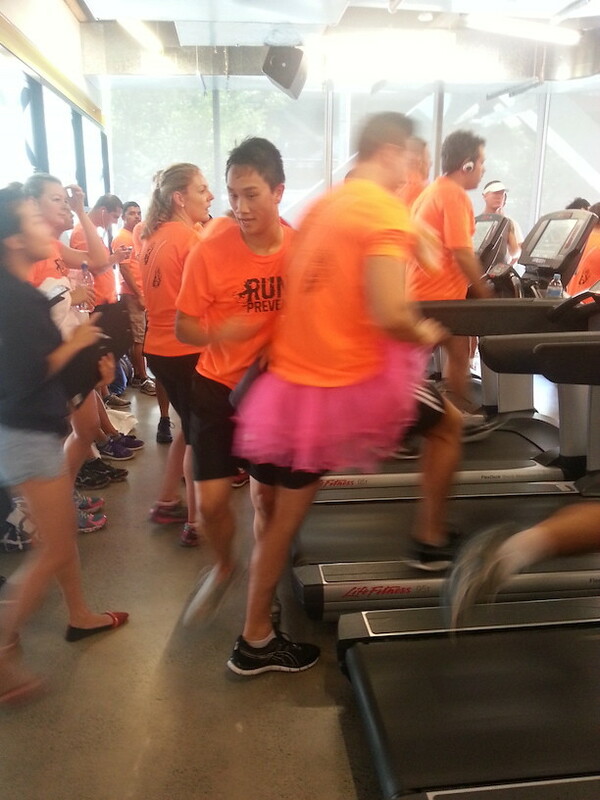 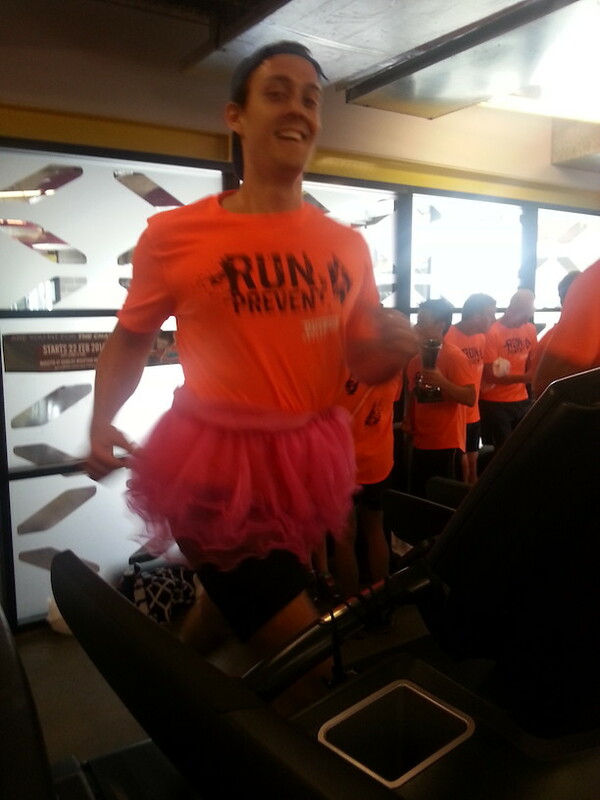 Some teams and individuals went as far as running the whole marathon in a tutu to secure additional donation. 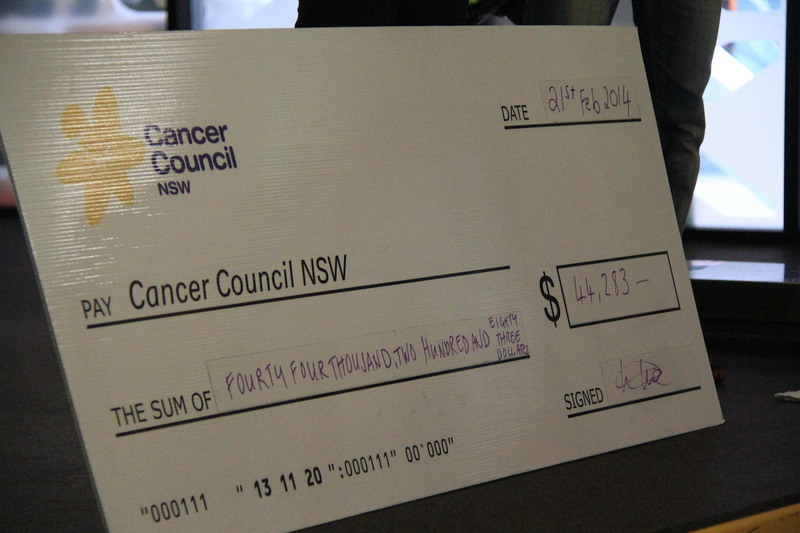 This year’s highest fundraiser team was WRAPPERS, from Macquarie Bank, raising $4,516. 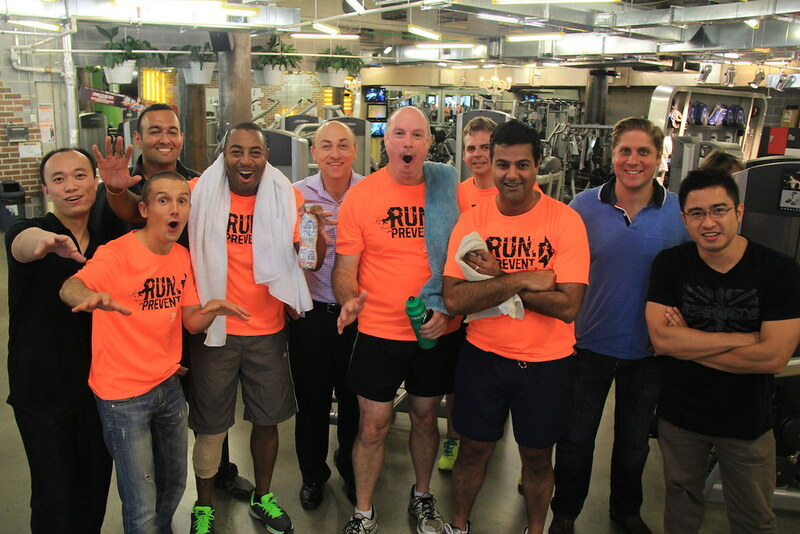 The team I belonged to. 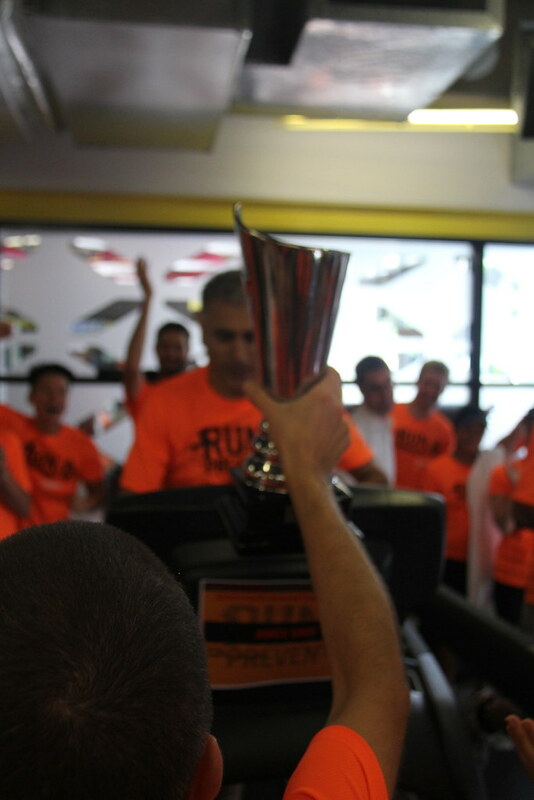 It was a great feeling handing the trophy to my team captain and also receive 1 month free membership as prize! 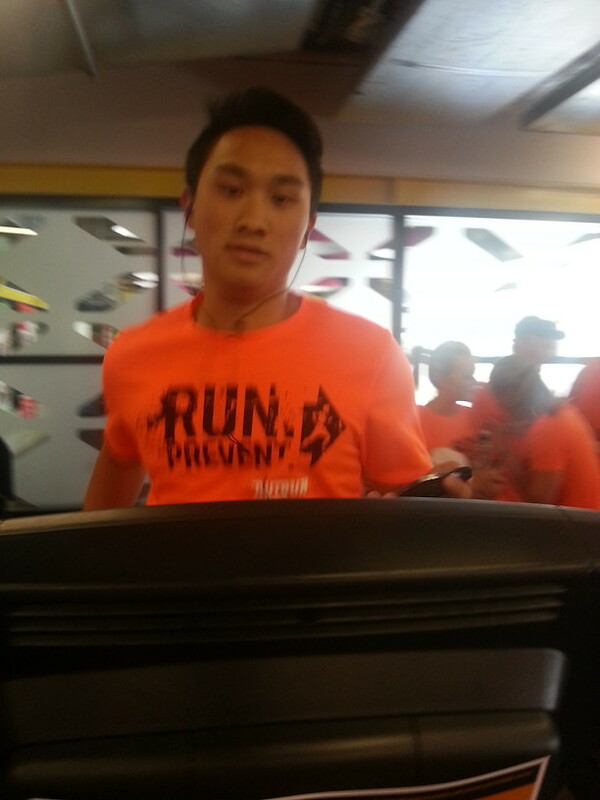 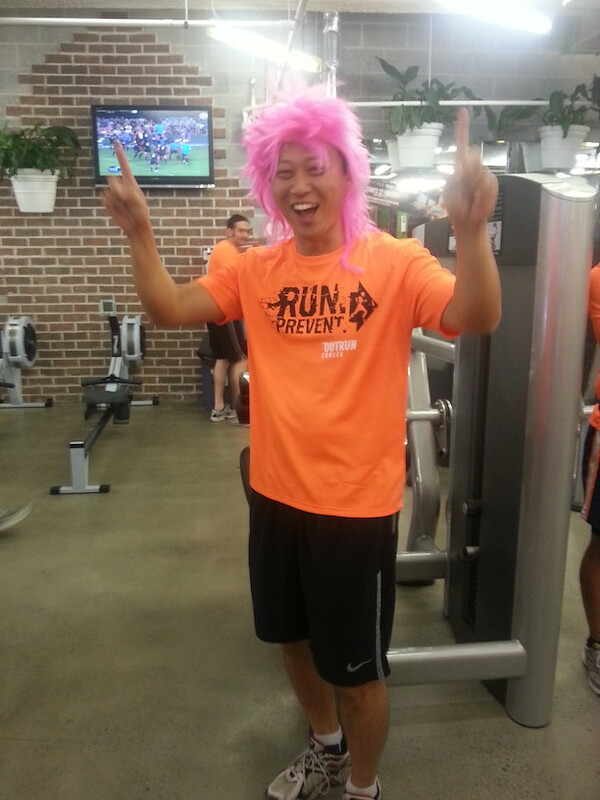 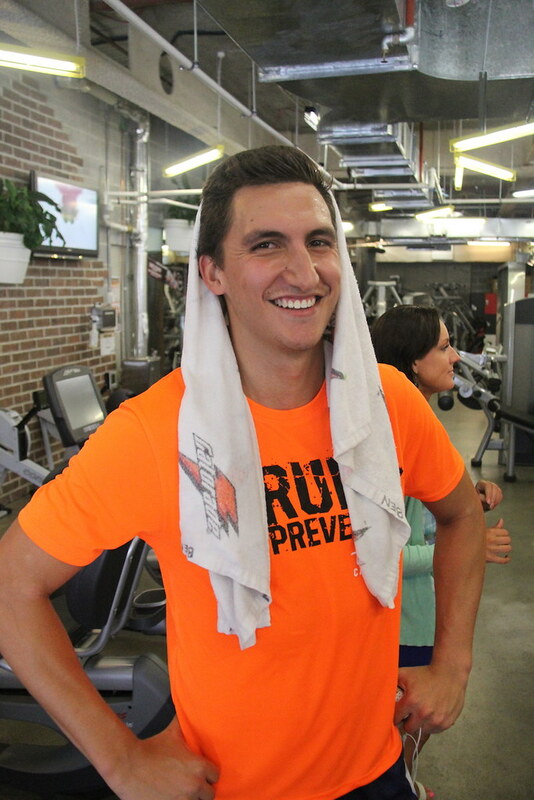 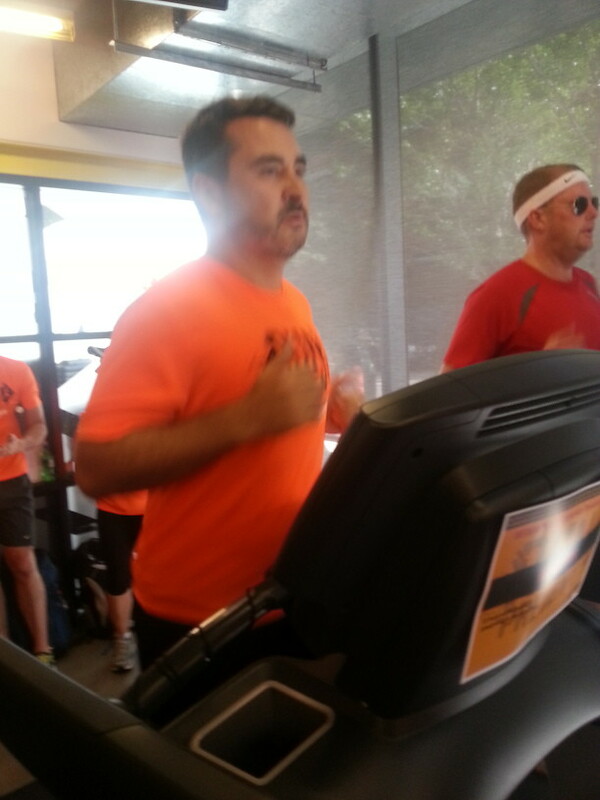 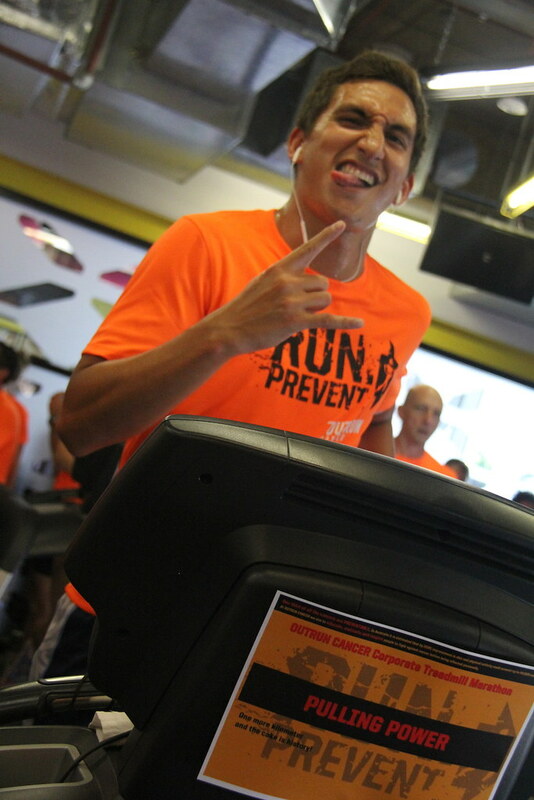 The highest fundraiser was Anthony from the THEHOTUNDERTHECOLLERS team, with $1,150. 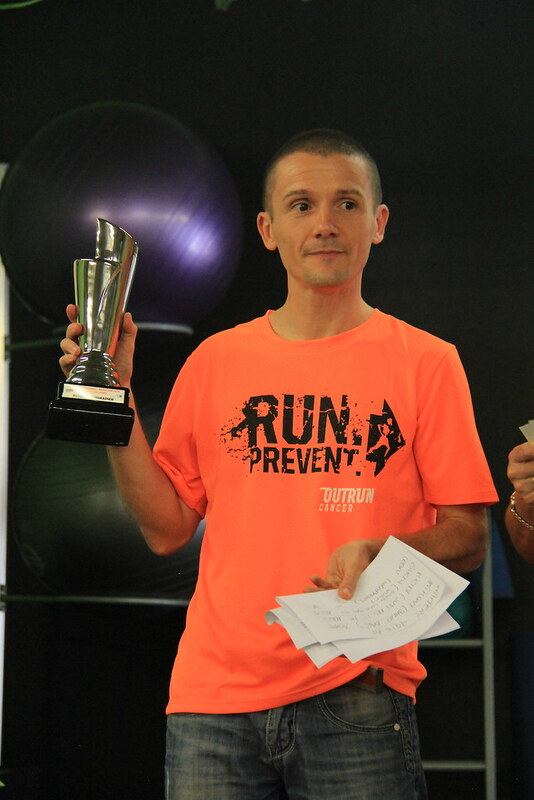 He received a one year gym membership and shiny trophy. 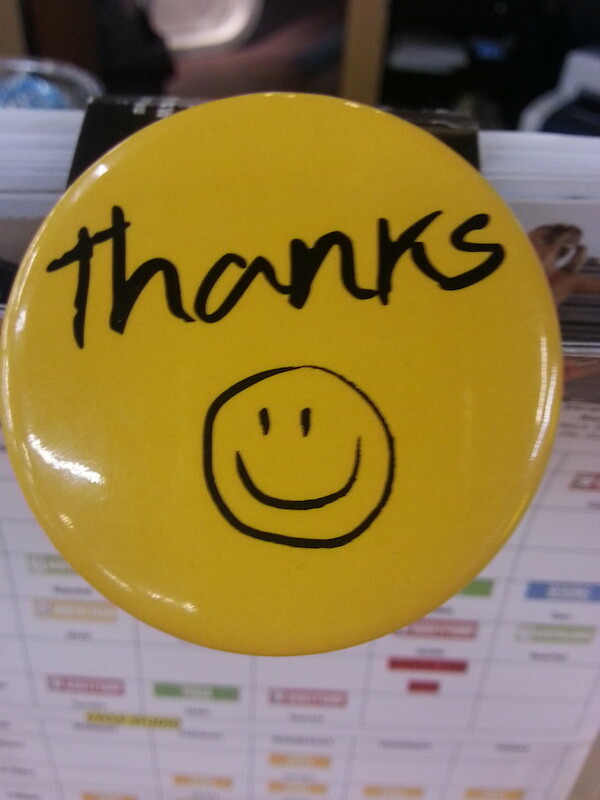 Thank you everyone for all the fun!